Section 111 contains the loss carryover provisions of the Act. These provisions set out the rules under which a loss sustained in one year may be carried backward or forward to another year for the purpose of computing the taxable income of that other year. Subsection 111(1) contains the basic rules which set out the number of years the various categories of losses may be carried forward and backward. Paragraph 111(1)(a) deals with “non-capital losses” (referred to as “business losses” in the pre-1972 Act), which in general may be carried back three years and forward twenty years. (Non-capital losses arising in taxation years ending before 2006 (but after March 22, 2004) could be carried back three years and forward ten years.) Paragraph 111(1)(b) deals with “net capital losses”, which in general may be carried backward three years and forward indefinitely. Paragraphs 111(1)(c) and (d) deal, respectively, with “restricted farm losses” and “farm losses”, which in general may be carried backward three years and forward twenty years. Paragraph 111(1)(e) deals with limited partnership losses, which in general may be carried forward indefinitely. Subsection 111(1.1) determines the amount in respect of net capital losses which is deductible under paragraph 111(1)(b), and in so doing it also provides for the adjustment in net capital losses for carryover to another year to reflect differences in the inclusion rate for capital gains and losses in the loss year from the rate for the year in which the loss is claimed. Subsection 111(2) generally permits the full amount of a taxpayer’s net capital loss for the year in which the taxpayer dies and of any unabsorbed net capital losses carried over from all previous years to be deducted in computing taxable income for the year of death and the immediately preceding taxation year. Subsection 111(3) limits the amount of a carried-over loss that may be deducted or claimed in another year pursuant to paragraph 111(1)(a), (b), (c), (d) or (e) to the remainder that was not deducted in any previous year (or that was not claimed in respect of a net capital loss or to reduce the amount on which tax under Part IV of the Act was computed) and further prescribes the order in which such carried-over losses are to be applied. Subsections 111(4) to (5.5) contain specific rules, applicable on an acquisition of control of a corporation, which limit the carry-forward of non-capital losses, net capital losses, farm losses and unrealized losses on capital, depreciable and eligible capital property owned by the corporation and on doubtful debts. These provisions were enacted to discourage trading in loss corporations. The Act and the Regulations contain a number of other provisions which may be applicable or which should be considered where control of a corporation is acquired. For a list of some of these provisions, see the commentary to subsection 249(4) (in the commentary to section 249). Subsections 111(6) and (7) render ineligible for the loss carryover provisions any loss from a farming business to the extent such loss has been added to the adjusted cost base of the farm under paragraph 53(1)(i) on its disposition or has been included in computing a partner’s taxable income under section 101 on the sale of the farm. Subsections 111(7.1) to (7.2) provide special rules for the carryforward of non-capital losses by insurers and life insurers. Subsection 111(8) defines the terms “farm loss”, “net capital loss”, “non-capital loss”, and “pre-1986 capital loss balance”, while subsection 111(9) provides special rules for determining a taxpayer’s loss carryovers for a taxation year during which the taxpayer was not resident in Canada. Subsections 111(10) and (11) are important components of the temporary “loss-offset” program in respect of fuel tax rebates. Under paragraph 111(1)(d) a taxpayer’s farm losses may similarly be carried back three years and forward as many as twenty years. For farm losses arising in taxation years prior to 2006, the carry-forward period was ten years. Under paragraph 111(1)(e), applicable after February 25, 1986, limited partnership losses may be carried forward indefinitely and deducted in computing the taxable income of a taxpayer in future taxation years, subject to certain limitations. Paragraph 111(1)(a) refers only to the carryover of “non-capital losses”, the related subjects of net capital losses, restricted farm losses and farm losses being taken up in paragraphs (b), (c), (d) and (e) respectively. “Non-capital loss” is defined in subsection 111(8). It will be seen that the provision applies not only to “business” losses, but extends also to losses from property and losses from an office or employment and to certain capital losses. Losses from carrying on a farming or fishing business are included in non-capital losses. “Farm losses” are then subtracted therefrom. Limited partnership losses are excluded from non-capital losses by paragraph 96(2.1)(d). A loss from a business or property is to be determined under subsection 9(2) of the Act and a loss from an office or employment under subsection 5(2); see the commentary to those subsections in the commentary to sections 9 and 5 respectively. In addition, for the 1985 and subsequent taxation years a taxpayer that is a corporation includes in its non-capital loss for a taxation year the amount, if any, added to taxable income for the year under section 110.5 (the description of B in the definition “non-capital loss” in subsection 111(8)). Section 110.5, together with section 126 and the definition of “non-capital loss”, provides, in effect, a carryover mechanism for foreign income taxes paid for the year that are in excess of the taxpayer’s Canadian federal income taxes otherwise payable for the year, and thus not deductible under subsection 126(1) or (2). This is achieved by treating the amount added to taxable income under section 110.5 in order to utilize these excess foreign income taxes, as a non-capital loss of the taxpayer for the year, which may be carried forward or back as described above and deducted in computing taxable income for other taxation years (see the commentary to section 110.5 and subsections 126(1)-(2.1)). Applicable after June 27, 1999, there is also included in a taxpayer’s non-capital loss for a taxation year the amount, if any, determined in respect of the taxpayer for the year under subparagraph 115(1)(a)(vii) (the description of B in the definition “non-capital loss”). Subparagraph 115(1)(a)(vii) is a computational rule that was enacted as a consequence of changes to the Bank Act permitting authorized foreign banks to carry on business in Canada in branch form. Subsection 248(1) defines an “authorized foreign bank” as having the meaning assigned by section 2 of the Bank Act, which provides that this term means a foreign bank in respect of which an order has been made granting the authority to carry on a specified banking business in Canada through a branch. The rule in subparagraph 115(1)(a)(vii) parallels the rule under section 110.5 that is available to resident banks. It permits an authorized foreign bank to include an additional amount in its taxable income earned in Canada to increase the available foreign tax credit under subsection 126(1), provided the inclusion does not increase any amount deductible by the bank under section 127. The amount of the additional inclusion becomes a non-capital loss for the particular taxation year and is available for carryover. 15. where the taxpayer is a corporation, any amounts deductible in computing its taxable income under section 112 or subsection 113(1) in respect of dividends received from other corporations. The total so determined (the description of E) must be reduced by the amount determined under paragraph 3(c) (the description of F). (c) the deductions allowed in computing income for the year pursuant to subdivision e.
The taxpayer then adds to this “net” amount the amount, if any, added to taxable income or taxable income earned in Canada for the year under section 110.5 or subparagraph 115(1)(a)(vii) (the description of B) (see above, and the commentary to section 110.5 and subsections 126(1)-(2.1)). 4. the total of all amounts by which the taxpayer’s non-capital loss for the year is required to be reduced by virtue of the debt forgiveness rules in section 80 (description of D.2). The definition of non-capital loss is applicable generally to the 1988 and subsequent taxation years, subject to transitional provisions for (1) a corporation’s taxation year ending before July 1988 in respect of non-capital losses for another taxation year ending after June 1988 and (2) a corporation’s taxation year ending after June 1988 in respect of non-capital losses for another taxation year ending before July 1988. The description of E in the definition was amended to refer to “any of paragraphs 110(1)(d) to (d.3)” (to include amounts deductible under paragraph 110(1)(d.01)), applicable to the 2000 and subsequent taxation years, and to refer to paragraph 110(1)(g), applicable to the 1997 and subsequent taxation years. The reference to subparagraph 115(1)(a)(vii) in the description of B applies after June 27, 1999. The description of D.1 applies with respect to amounts received after 1991 in respect of which a reduction of unused non-capital losses of prior years takes place under subsection 111(10). The reference to net capital loss carryover deductions in what is now the description of E was added to apply to the 1991 and subsequent taxation years in an apparent attempt to enable business losses of a taxation year that have been used to reduce the amount of a taxable capital gain for that year to be reinstated where net capital losses of other taxation years are carried over to that year. There may be circumstances, however, in which such a reinstatement would not be possible, in view of the fact that net capital loss carryovers are deductions from net income in computing the taxable income of a taxpayer for a taxation year and “taxable income” cannot be less than nil. The description of C was repealed for the 1998 and subsequent taxation years as a consequence of the repeal of section 110.4. The description of D.2 was added applicable to taxation years that end after February 21, 1994. * net capital loss carryforwards. (C) applicable to taxation years that end after February 21, 1994, the total of all amounts by which the taxpayer’s farm loss for the year is required to be reduced by virtue of the debt forgiveness rules in section 80 (description of C). The description of B was repealed for the 1998 and subsequent taxation years as a consequence of the repeal of section 110.4. As a result of the interaction between the definitions of “non-capital loss” and “farm loss”, a taxpayer’s income for the year under paragraph 3(c) (together with any accumulated averaging amount elected under former subsection 110.4(2)) would be applied to reduce first the taxpayer’s non-capital loss for the year and thereafter the taxpayer’s farm loss. Also, the taxpayer’s income from a farming or fishing business is applied to reduce first the taxpayer’s farm loss for the year and thereafter the taxpayer’s non-capital loss for the year. Where, by virtue of section 31, a portion of a farming loss is not deductible from other income of the same year because the taxpayer’s chief source of income does not include farming, the undeducted portion of the loss, referred to as a “restricted farm loss”, may be carried over to other years but can be deducted only from farming income earned in those other years. This is provided for in paragraph 111(1)(c), to which reference should be made. It should be noted that a restricted farm loss is not included in a taxpayer’s farm loss or non-capital loss. A taxpayer’s limited partnership loss for a taxation year is computed in accordance with subsection 96(2.1). Generally, it represents a limited partner’s share of a partnership’s losses from business or property (other than a farming business) to the extent that they exceed the limited partner’s at-risk amount in respect of the partnership. See the commentary to section 96 under the heading “Computation of Deductible Limited Partnership Losses”. By virtue of paragraph 96(2.1)(d), such loss may not be deducted in computing income from other sources and is not included in the taxpayer’s non-capital loss for the taxation year. 3. the taxpayer’s share of foreign resource pool expenses, Canadian exploration expenses, Canadian development expenses and Canadian oil and gas property expenses, incurred by the partnership in that fiscal period. Subclause 111(1)(e)(ii)(C)(I) was amended, applicable to taxation years that begin after 2000, to refer to the broader concept of “foreign resource pool expenses” instead of “foreign exploration and development expenses”. The definition “foreign resource pool expenses” in subsection 248(1) includes expenses that are “foreign resource expenses” as defined in subsection 66.21(1) as well as foreign exploration and development expenses. Although limited partnership losses may be carried forward indefinitely, the deduction in a taxation year of limited partnership losses of prior taxation years is limited by the taxpayer’s at-risk amount in respect of the particular partnership in the year in which the deduction is claimed. Therefore, the right to claim limited partnership losses of prior taxation years is lost if the partnership is dissolved or if the taxpayer ceases to be a partner or a limited partner of the partnership. The amount of a non-capital loss, farm loss or limited partnership loss that a taxpayer may claim in any year is subject to certain limitations and rules. First, paragraph 111(3)(a) limits the deduction of a non-capital loss, farm loss or limited partnership loss in any year to the amount remaining after accounting for amounts that were deducted in prior years and after subtracting any amounts that were “used up” in reducing amounts on which the corporation was required to pay tax under Part IV (“Tax on Taxable Dividends Received by Private Corporations”). See the commentary to paragraphs 186(1)(c) and (d) (in the commentary to sections 186-187) in this connection. Second, paragraph 111(3)(b) provides that any category of loss in respect of any year may not be deducted in a year until losses in that particular category in respect of previous years have been deducted. Third, subsection 111(5) limits the deduction of non-capital losses and farm losses where there has been a change of control of a corporation. See the commentary entitled “Special Rules on Acquisition of Control”. Subject to these limitations, and certain general limitations described below, a taxpayer may choose whether to deduct all or any portion of any category of loss in a year, that is to carry it back to a previous year or to carry it forward to a subsequent year. For the 1982 and preceding taxation years, farm losses were included in non-capital losses and were not computed separately. In addition, for the 1982 and preceding taxation years the deduction of non-capital losses carried over from other taxation years was subject to certain other limitations. Paragraph 111(1)(a), as it applied to these taxation years, limited the amount deductible in another year to the taxpayer’s “income” for that other year (as determined under Division B, ie sections 3 to 108 of the Act) minus any amount deductible by a life insurer under subsection 138(6) in respect of taxable dividends and minus all of the deductions allowed to the taxpayer under Division C in computing “taxable income” with the exception of personal exemptions and other deductions for the support of dependants (former sec 109) and except for any deduction in respect of losses of other years under paragraphs 111(1)(a) and (b). To illustrate, if the taxpayer’s income in the other year amounted to $8,000, and her exemptions to $3,500, leaving her with a taxable income of $4,500, an eligible non-capital loss from another year would be “deductible” to the extent of $8,000, although only $4,500 would be sufficient to render her non-taxable. In addition, the limitations contained in paragraphs 111(3)(a) and (b) applied to the deduction of non-capital losses, except that such losses were reduced by amounts “deductible” in prior years (rather than by amounts claimed in prior years) and the carryback and carryforward periods were limited to one and five taxation years, respectively. Thus the amount eligible for carryover in these years was limited to what was not “deductible” in any earlier year. Whether a non-capital loss was in fact deducted when it could and should have been was beside the point. Any amount that was “deductible” under the rules in one taxation year, even though not in fact deducted, could not be deducted in a later year (Alexis Nihon Co. v. Minister of National Revenue,  Tax A.B.C. 39). However, as a result of the amendment to subsection 111(3) any loss which was previously deductible but not deducted may be applied against income in the 1983 and subsequent taxation years, within the periods specified in subsection 111(3). Non-capital losses of a taxpayer in respect of the 1982 and preceding taxation years could only be carried back one taxation year and carried forward five taxation years. The rules with respect to a taxpayer’s farm losses are applicable for the 1983 and subsequent taxation years. Farming losses of a taxpayer in respect of the 1982 and preceding taxation years were included in non-capital losses and were subject to the same carryforward period. Non-capital losses and farm losses of a taxpayer in respect of the 1983 taxation year could be carried back three years only if the taxpayer was in 1983 an individual (other than a trust) or an eligible Canadian-controlled private corporation. Such a corporation was eligible if, after the application of such loss back to the three preceding taxation years, it was entitled to deduct an amount under section 125 or would be so entitled if it had sufficient income in the year from carrying on an active business in Canada. Non-capital losses and farm losses of other taxpayers in respect of the 1983 taxation year could be carried back two years. The taxpayer entitled to claim a non-capital loss or farm loss under paragraph 111(1)(a) or (d) must be the person who suffered the loss. The loss follows the taxpayer and not the “business”. Thus where an individual proprietor of a business or a member of a partnership incorporates a business, the individual and the corporation being separate taxpayers, such loss suffered by the individual prior to incorporation cannot be carried forward and applied against the income of the corporation nor can such loss suffered by the corporation be applied against the business income of the individual. On the other hand, a corporation has the same legal identity before and after a complete change of shareholders and therefore remains the same taxpayer. However, the corporation’s non-capital losses and farm losses attributable to a particular business may lapse when its control changes hands, unless it continues to carry on the particular business (see the commentary to subsection 111(5)). It should be noted that the rules limiting the deductibility of losses carried over in subsections 111(4) to (5.4) do not extend to limited partnership losses. Hence, an acquisition of control of a corporation that is a limited partner does not affect the ability of the corporation as limited partner to deduct its limited partnership losses of prior taxation years in accordance with section 111. By way of exception, on a statutory amalgamation of two or more Canadian corporations, or on the winding-up of a Canadian corporation that is at least 90 per cent owned by another Canadian corporation, non-capital losses of the predecessor corporations or of the subsidiary, as the case may be, may generally (subject to rules respecting change of control) be carried forward and deducted by the amalgamated corporation or the parent, respectively (see the commentary to subsections 87(2.1) and 88(1.1) (in the commentary to sections 87 and 88)). Subsections 87(2.1) and 88(1.1) were amended, applicable after February 25, 1986, to allow for a flow-through of limited partnership losses of corporate limited partners upon an amalgamation or liquidation. See paragraphs 27 to 30 of Interpretation Bulletin IT-302R3 (below). See also Income Tax Technical News No 3 dated January 30, 1995 for a discussion of the rule in subsection 87(2.11). In the case of an estate carrying on the business of a deceased taxpayer, the estate, which is deemed to be an “individual” for income tax purposes by virtue of subsection 104(2), is regarded as a new taxpayer and so is not entitled to carry forward and deduct losses of the deceased, even though the business is the same. Furthermore, an income beneficiary of a trust or estate cannot deduct any part of a non-capital loss or farm loss incurred by the trust or estate, either in the year in which it was incurred or in any other year. In Toshach v. Minister of National Revenue,  Tax A.B.C. 353, such a beneficiary sought unsuccessfully to deduct part of an estate “business loss” from her share of the estate’s business income in the following year. shall be computed as if in the part of the year throughout which the taxpayer was not resident in Canada in the case of (a), and throughout the year in the case of (b), the taxpayer had no income other than income described in any of subparagraphs 115(1)(a)(i) to (vi), the taxpayer’s only taxable capital gains, allowable capital losses and allowable business investment losses were from dispositions of taxable Canadian property (other than “treaty-protected property”) and the taxpayer’s only other losses were losses from an office or employment performed by the taxpayer in Canada and businesses (other than “treaty-protected businesses”) carried on by the taxpayer in Canada. Paragraph 111(9)(a) was amended, applicable to the 1998 and subsequent taxation years, as a consequence of amendments to section 114. The paragraph previously referred to the portion of the year referred to in (former) paragraph 114(b). Except for this minor consequential amendment to paragraph 111(9)(a), the current version of subsection 111(9) results from the 1999 amendment made applicable for the purpose of computing taxable income and taxable income earned in Canada for the 1998 and subsequent taxation years. The closing words were amended in 1999 (applicable as described above) so that losses from “treaty-protected properties” and “treaty-protected businesses” are not taken into account in determining a taxpayer’s losses for a year during which he/she was not resident in Canada. These terms are defined in subsection 248(1) for the 1998 and subsequent taxation years. The term “treaty-protected property” means property any income or gain from the disposition of which by the taxpayer would be exempt from Part I tax because of a tax treaty with another country. A “treaty-protected business” of a taxpayer at any time means a business in respect of which any income of the taxpayer for a period that includes that time would be exempt from Part I tax because of a tax treaty with another country. Prior to the 1999 amendments, the concluding words in subsection 111(9) required the computation to be made as if the taxpayer had no income other than income described in subparagraphs 115(1)(a)(i) to (vi) and the taxpayer’s only taxable capital gains and allowable capital losses were from the disposition of taxable Canadian property and the taxpayer’s only losses were allowable business investment losses and losses from an office or employment performed by the taxpayer in Canada and businesses carried on by the taxpayer in Canada. The references to losses from an office or employment and allowable business investment losses were added to apply to the 1991 and subsequent taxation years and with respect to the computation of taxable income and taxable income earned in Canada for those years. any reference in section 111 to a paragraph or subparagraph of section 3 was to be read as a reference to the amount determined under such paragraph or subparagraph for the purpose, in case (a), of section 114 and, in case (b), of section 115. In Oceanspan Carriers Ltd. v. R.,  1 C.T.C. 210 (FCA), the appellant corporation which had been incorporated in Bermuda was a non-resident corporation for purposes of the Act until June 15, 1976, when, as a result of a change in its central management and control, it became a corporation resident in Canada. In returns for its 1977 to 1979 taxation years, the corporation attempted to carry forward non-capital losses from 1972 to 1975 when the appellant was resident in Bermuda and did not carry on business in Canada, as well as non-capital losses incurred in 1976. The Minister allowed only that portion of the 1976 loss considered to have occurred after June 15, 1976. The Federal Court-Trial Division dismissed the corporation’s appeal (see  1 C.T.C. 114). The Federal Court of Appeal held that, as a non-resident not carrying on business in Canada, the corporation was not liable to pay tax and had no “taxation year” for its 1972 to 1975 calendar years and therefore could not deduct non-capital losses incurred offshore in those years. However, with respect to those non-capital losses incurred in the year during which the appellant became a resident of Canada, the Court held that the trial judge had erred in prorating the loss as would have been done for individuals under section 114. The non-capital losses incurred in the entire 1976 year were held to be deductible. Note that the taxation years at issue in this case predate the 1984 amendments to former paragraph 111(8)(c). However, in Merali v. R.,  1 C.T.C. 521 (FCTD), an individual was allowed to carry forward and deduct non-capital losses in respect of real estate held by him in Canada, although the losses were sustained in 1978 to 1980 when he was a non-resident. During the years of non-residency, the plaintiff had elected to file returns under subsection 216(1) on his net rental income as if he were a Canadian resident. The Court held that paragraph 216(1)(c) does not preclude a non-resident taxpayer from computing losses on income earning property held by him in Canada. The Federal Court of Appeal held (at  1 C.T.C. 320) that paragraph 216(1)(c) ceases to apply when a non-resident taxpayer becomes a resident taxpayer, so that in the absence of any express prohibition, paragraph 111(1)(a) would permit the deduction. In affirming the Trial Division’s decision, the Court of Appeal expressly distinguished Oceanspan Carriers Ltd. v. R. (supra) as an attempt by a newly resident corporation to deduct non-capital losses earned at a time when it had no connection with Canada. However, see the 1984 amendments to former paragraph 111(8)(c) (above) and paragraph 8 of Interpretation Bulletin IT-393R2 (reproduced in the commentary to section 216). See Taylor v. R.,  1 C.T.C. 304 (FCA) for an unsuccessful attempt to deduct and carry over an amount in respect of foreign non-business-income tax for a period before becoming a Canadian resident. This case is further discussed in the commentary to section 114. See also the commentary to section 115. In New St. James Ltd. v. Minister of National Revenue,  C.T.C. 305, the Exchequer Court confirmed the Minister’s right to redetermine the amount of a 1955 loss more than four years after the original assessment for that year for the purpose of applying that loss to subsequent taxation years that were not statute-barred. Originally, the Minister had treated certain capital expenditures made by the appellant in 1955 as in the nature of additional rent under its lease with another company subject to the same control. Later, when the Tax Appeal Board held that the amount was not taxable as rental income to the other company (No. 692 v. Minister of National Revenue, 23 Tax A.B.C. 421), the Minister recalculated the appellant’s 1955 loss to treat the outlay as a capital expenditure subject to capital cost allowance instead of as an outright expense. The fact that the four-year time limit under subsection 46(4) of the pre-1972 Act (now a three-year limit under subsection 152(4)) in which the 1955 taxation year might have been reassessed by the Minister, had expired, was held not to prevent the Minister from reassessing subsequent taxation years, which were not statute-barred, in order to reduce the amount of loss carryover from 1955. In this regard, it should be noted that subsection 152(5), which determines the limits within which a reassessment after the expiration of the time limit may be made, is concerned with the computation of income only, not taxable income. Similar results followed in Roywood Investment Ltd. v. R.,  C.T.C. 19 (FCTD); aff’d  C.T.C. 206 (FCA) (reassessment disallowing loss carryforward from capital cost allowances claimed in statute-barred years) and in Immobilière Canada Ltd. c. Minister of National Revenue,  C.T.C. 2049 (recalculation of carryforward of losses from statute-barred years). Subsections 152(1.1), (1.2) and (1.3) now afford the taxpayer a right of immediate objection and appeal from the redetermination of non-capital losses (and net capital losses, restricted farm losses, farm losses or limited partnership losses) by the Minister. By virtue of these provisions, where the Minister ascertains the amount of the taxpayer’s loss for a taxation year and that amount is different from that reported by the taxpayer in the taxpayer’s tax return for the year, the Minister is required to make a determination of the amount of the loss by way of a “notice of determination” at the taxpayer’s request. If not satisfied, the taxpayer may then object or appeal from that notice of determination in the same manner and within the same time period as for a notice of reassessment. Subject to any such objection or appeal, the determination is binding on both the Minister and the taxpayer for the purposes of calculating the taxpayer’s taxable income in any other year. This procedure for the determination of losses is discussed more fully in the commentary to subsection 152(1.1) (in the commentary to section 152). In Burleigh v. R.,  C.T.C. 2797 (TCC) the Court held that neither a determination of loss under subsection 152(1.1) nor the reporting of the loss in a return of income for the year in which it was incurred were required for a loss to be utilized under section 111. Whether a loss must be applied against the income for a year in which the taxpayer was exempt from tax or whether the loss may be applied in full against the income of a later year in which the taxpayer was not exempt, was at issue in Falaise Steamship Co. (No. 2) v. Minister of National Revenue, 33 Tax A.B.C. 6. The corporation filed its returns as an “ordinary” corporation for 1954 and 1956 but as a “foreign business corporation” for 1953 and 1955. A foreign business corporation was exempt from tax under section 71 of the pre-1972 Act, and the corporation sought to deduct a loss incurred in 1954 from its income for 1956, rather than apply it against the income for 1953, for which year it was exempt from tax. However, the Tax Appeal Board confirmed the Minister’s view that losses must be applied strictly as then provided in paragraph 27(1)(e) (predecessor to subsection 111(3)) without regard for whether or not the income of a year was taxable. In this connection, see the commentary to subsection 149(10) for special rules applicable where a corporation becomes or ceases to be exempt from Part I tax. As explained above under “Limitations on the Amount Deductible”, a non-capital loss incurred in any year is to be applied first against the income of the immediately preceding year. Normally, the Minister will reassess that preceding year as a matter of course to give effect to this deduction. In order to prevent the Minister from arbitrarily refusing to recognize a non-capital loss and to reassess a preceding year to carry it back, the taxpayer is given a statutory right in subsection 152(6) to file an amended return for a preceding year, claiming a deduction for the loss, upon which the Minister is bound to reassess. The amended return must be filed by the date on or before which the taxpayer is required to file the return for the year in which the non-capital loss or farm loss was incurred. If the amended return is not filed within the required time the Minister cannot be compelled to reassess it to allow the carryback of the loss (Montreal Trust Co. (Lodestar Drilling Co.) v. Minister of National Revenue,  C.T.C. 418 (SCC)). Because the loss carryover rules in the present Act, applicable to the 1972 and subsequent taxation years, differ in some respects from those of the pre-1972 Act, applicable to the 1971 and prior taxation years (notably in extending the carryover feature to capital losses end losses from property, offices and employments), it was necessary to provide rules to reconcile these differences when losses defined by the pre-1972 Act are to be carried forward to years governed by the amended Act, and vice versa. These transitional provisions were found in former section 37 of the Income Tax Application Rules, 1971. A “business loss”, as understood under the pre-1972 Act, which was incurred in a taxation year prior to 1972, could be carried forward to 1972 or a subsequent year within the 5-year limit recognized under both Acts. For this purpose a pre-1972 “business loss” was classified as a “non-capital loss” for the purpose of section 111. Such pre-1972 business losses were not to include any farming loss precluded from deduction in the year incurred because of section 13 of the pre-1972 Act (now section 31). The transitional rule governing “partial farm losses” is covered in the commentary to paragraph 111(1)(c), below. The carryback of a 1972 loss to 1971 was provided for in former subsections 37(5) and (7) of the ITAR. These subsections provided that a “non-capital loss” for 1972 was to be treated as a “business loss” for the purpose of computing 1971 taxable income and that any amount thus deductible in 1971 would be deemed, for the purpose of paragraph 111(3)(a) of the amended Act in computing the taxpayer’s taxable income for 1973 and subsequent years, to have been “deductible” under Part I of the amended Act in respect of that non-capital loss. Interpretation Bulletin IT-232R3, dated July 4, 1997 and reproduced below, comprehensively reviews the provisions of the Act concerning the deductibility of losses since the 1988, 1994 and 1995 amendments. It cancelled and replaced IT-232R2 (which dealt with them as they read prior to the 1988 amendments). Paragraph 111(1)(b) permits net capital losses to be carried back three years and forward indefinitely until completely absorbed in computing the taxable incomes of such other years, but the amount deductible in any such other year is limited to the taxpayer’s net capital gains in such other year. See the CRA’s guide entitled “Capital Gains” (T4037). Prior to 1985, an individual was entitled to deduct up to an additional $2,000 of the capital loss from income other than from capital gains, in each year within the carryover period. Capital losses realized prior to May 23, 1985 generally continue to benefit from this favourable treatment — see below under “Pre-1986 Capital Loss Balance”. A special transitional version of paragraph 3(e), applicable for the 1985 taxation year, provided that an individual could deduct allowable capital losses realized in 1985 and prior to May 23, 1985 against up to $2,000 of ordinary income received in 1985. A special transitional version of 111(1)(b), applicable only for the 1985 taxation year, provided that a taxpayer’s ability to deduct an amount in respect of the taxpayer’s “pre-1986 capital loss balance” was reduced by the amount the taxpayer was entitled to deduct by virtue of this transitional paragraph 3(e) rule. For the purpose of this section, a taxpayer’s “net capital loss” (ie the amount eligible for carryover) is defined in subsection 111(8). Under section 3, the amount by which a taxpayer’s allowable capital losses exceed allowable business investment losses for any year is first applied to reduce the taxpayer’s taxable gains for that year. Any remainder is not deductible and by virtue of the descriptions of A and B of the definition “net capital loss” in subsection 111(8) becomes the principal component of the taxpayer’s net capital loss, eligible for carryover under paragraph 111(1)(b). * where the taxpayer is a corporation the control of which was acquired by a person or group of persons before the end of the year and after the end of the taxpayer’s tenth preceding taxation year, nil. The total so determined must then be reduced by the total of all amounts by which the taxpayer’s net capital loss for the year is required to be reduced by virtue of the debt forgiveness rules in section 80 (the description of D). Prior to 1985, an individual was entitled to deduct up to $2,000 of any capital loss from the individual’s other income for the year (or up to $1,000 for 1976 and previous years) and any balance of loss still remaining became the individual’s “net capital loss” for the year. A special transitional version of paragraph 3(e) allowed an individual to deduct up to $2,000 of any capital loss incurred in 1985 and prior to May 23, 1985 against other income for that year. Accordingly, a special transitional version of former subparagraph 111(8)(a)(i) provided that for the 1985 taxation year, to the extent that a taxpayer was so entitled to deduct an amount in respect of an allowable capital loss from other income, the net capital loss for the year would be reduced accordingly. Prior to 1985, an individual was entitled to deduct up to $2,000 of capital losses from income, other than income from capital gains. Accordingly, an individual’s net capital loss for any particular year was defined as the individual’s capital loss, as otherwise determined, less the amount so deducted against other income. Any resulting net capital loss, in the case of an individual, could be deducted against net capital gains in any year within the carryover period and against up to an additional $2,000 of income from sources other than capital gains in any such year. The purpose of the “pre-1986 capital loss balance”, defined in subsection 111(8), is to grandfather the ability to deduct pre-May 23, 1985 losses from up to $2,000 per year of income other than income from capital gains. To the extent of an individual’s “pre-1986 capital loss balance”, he/she may continue to deduct capital losses sustained under the former system subject to the $2,000 limitation and subject to a reduction to the extent of all amounts previously deducted under the former lifetime capital gains exemption. In respect of the 1985 taxation year, the definition should be read in conjunction with the special transitional version of paragraph 3(e) applicable to the 1985 taxation year. Under the latter provision, an individual could deduct allowable capital losses realized in the 1985 taxation year and prior to May 23, 1985 against income, other than income from capital gains, to the extent of $2,000. (c) a taxpayer’s “pre-1986 capital loss balance” is essentially the amount by which (a) plus (b) exceeds all amounts previously deducted by the taxpayer under section 110.6, as adjusted for differences in the capital gains inclusion rate in the loss year and in the particular year (the descriptions of C, D, E and E.1). The factors used to make the adjustments referred to in (c) are appropriately modified to take into account changes in the capital gains inclusion rate. In particular, the descriptions of C, D and E were amended, and the description of E.1 was added, applicable to taxation years that end after February 27, 2000, as a consequence of the reduction in the capital gains inclusion rate from 3/4 to 1/2 (see section 38 and the transitional rules concerning its application). When the pre-1986 net capital losses were accumulated, the capital gains inclusion rate was 1/2 as it is now; accordingly, no adjustment is required in respect of taxation years that end after October 17, 2000 or that ended before 1988 (see the description of C). The description of D provides for an adjusting factor of 3/4 for taxation years that ended after 1987 and before 1990 or that began after February 27, 2000 and ended before October 18, 2000, as the capital gains inclusion rate was then 2/3 ( 3/4 × 2/3 = 1/2). For taxation years that ended after 1989 and before February 28, 2000, the adjusting factor was 2/3 because the capital gains inclusion rate was then 3/4 (see the description of E). The description of E.1 provides a formula to adjust the section 110.6 deductions claimed by an individual in the 2000 taxation year of the individual that includes February 28, 2000 or October 17, 2000. The amount of a net capital loss that is deductible in another year is subject to certain limitations and rules. Paragraph 111(3)(b) prescribes the order in which a net capital loss is to be applied to other years. Paragraph 111(3)(a) reduces the amount in respect of a net capital loss that may be claimed for a taxation year by amounts claimed in respect of that loss in preceding taxation years. The use of the word “claimed” rather than “deducted” takes into account the possibility that the amount claimed in respect of a net capital loss and the amount that may be deducted in respect thereof may differ because of the difference in the inclusion rate for capital gains and losses for the taxation year from that for the loss years. Subsection 111(1.1) contains an adjustment provision in respect of the amount of net capital losses which may be deducted under paragraph 111(1)(b), applicable in computing taxable income for the 1985 and subsequent years. Under subsection 111(1.1), the amount claimed and the amount deducted in respect of a capital loss will be different whenever the inclusion rate for capital losses for the loss year is different from the inclusion rate for the year in which the net capital loss is used. The purpose of the adjustment in subsection 111(1.1) is to ensure that net capital losses from prior years will offset an equal amount of capital gains in subsequent years in which the inclusion rate for capital gains and losses is higher, and vice versa when net capital losses are carried back. Subsection 111(1.1) was amended, with retroactive effect, to ensure that this adjustment in net capital losses applies only where the loss is deducted against taxable capital gains and not where the loss is a pre-May 23, 1985 loss of an individual that has been deducted against $2,000 of other income. (iii) nil — the excess of the amount in respect of net capital losses claimed for 1990 ($40,000) over the total amounts of net capital losses required to be claimed that, after being adjusted by subsection 111(1.1), would be sufficient to produce the amount of $45,000 in (a) ($40,000). If the taxpayer’s pre-1986 capital loss balance in 1990 was $10,000, the amount in (a)(ii) would be $60,000 ($45,000 + ($10,000 × 3/4 ÷ 1/2)). The amount in (b)(iii) would be $50,000 less 50,000, or nil. If the pre-1986 capital loss balance in 1990 was $70,000, the maximum amount that can be claimed under (a)(ii) would be $150,000 ($45,000 + ($70,000 × 3/4 ÷ 1/2)). The amount in (b)(iii) on the basis of a claim under paragraph 111(1)(b) in respect of the pre-1986 capital loss balance being $48,667 is $2,000, being the amount deductible against other income. If the amount claimed was reduced by $2,000 to $46,667, the $2,000 would not have been deductible, illustrating the point that the 111(1.1) adjustment is not applicable to the $2,000 deduction against other income in respect of capital losses realized prior to May 23, 1985. See under “Pre-1986 Capital Loss Balance” above. 2. the taxpayer’s net taxable capital gains for the year (as determined under paragraph 3(b)) plus, if the taxpayer is an individual, $2,000 (or $1,000, if the year is before 1977) minus any amount by which the individual’s other income for the year was reduced by net allowable capital losses for that year. In addition, paragraphs 111(3)(a) and (b), as described above, under “Carryover of Non-Capital Losses and Farm Losses” applied to the deduction of net capital losses except that such losses were reduced by amounts “deductible” in prior years (rather than amounts claimed in prior years) and the carryback period was limited to one taxation year. 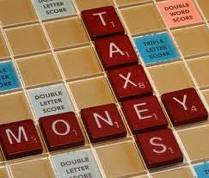 Net capital losses for the 1984 taxation year could only be carried back two taxation years. For the most part, the commentary under paragraph 111(1)(a) entitled “Loss Must Be Incurred by Taxpayer” is applicable to net capital losses. However, while there is provision for the carryforward of non-capital losses upon the change of control in a corporation, subsection 111(4) prohibits the carryforward of net capital losses where there is a change of control. This prohibition is also embodied in the rules respecting the winding-up of a wholly-owned subsidiary into another Canadian corporation (subsec 88(1.2)), and is incorporated by reference into the rules pertaining to the statutory amalgamation of two or more Canadian corporations (subsec 87(2.1)). If, in the year of death, a taxpayer has a net capital loss or any unabsorbed net capital losses carried forward from prior years, special rules in subsection 111(2) concerning the application of paragraphs 111(1)(b) and 111(1.1)(b) as they are to be read under these circumstances allow the deduction of such losses (less the amount of the former lifetime capital gains exemption claimed by the taxpayer) up to the amount of the taxpayer’s available income from all sources in the year of death and in the immediately preceding year. 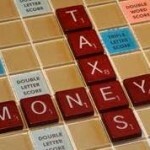 (b) all amounts deducted by the taxpayer under the former lifetime capital gains exemption. For example, subsection 111(2) operates as follows where, in the year of his death, a taxpayer who had previously claimed capital gains exemptions aggregating $15,000, had net income of $50,000 (excluding taxable capital gains), taxable capital gains of $22,000, allowable capital losses of $30,000 and net capital loss carryforwards of $25,000. 1. The taxpayer’s net capital loss for all taxation years not claimed by him is $33,000, being the total of net capital losses carried forward from previous years, in the amount of $25,000, and his net capital loss for the year of $8,000 (allowable capital losses of $30,000 less taxable capital gains of $22,000). 2. As allowable capital losses exceed taxable capital gains for the year, there is no amount determined under paragraph 3(b). 3. The taxpayer may deduct $18,000 in computing his taxable income for the year, being the amount by which the total of all net capital losses ($33,000) exceeds the total lifetime capital gains exemptions claimed ($15,000). Where a taxpayer has a net capital loss in the year of death, such loss may be applied against his/her taxable capital gains of the three immediately preceding years, subject to adjustment where necessary for differing inclusion rates for capital gains. The balance remaining, if any (after reduction by the former lifetime capital gains deductions claimed by the deceased), may be applied against other income in the year of death or the immediately preceding year. There is no requirement, however, that the net capital loss for the year of death (or any portion thereof) be first applied against a prior year’s taxable capital gains. If a deduction is claimed against other income in the year immediately preceding the year of death and such deduction was reduced by reason of the former lifetime capital gains deductions claimed by the deceased, the deduction available in the year of death against other income will be reduced by the lifetime capital gains deductions only to the extent that they have not already reduced the deduction against other income in the immediately preceding year (para 111(2)(b)). Special transitional rules that apply where a taxpayer died during the 1985 taxation year are reviewed at the conclusion of this discussion. A special transitional rule applied where a taxpayer died during the 1985 taxation year. This was required because losses incurred prior to May 23, 1985 were subject to different treatment from losses incurred after May 22, 1985. Prior to 1985, an individual taxpayer was entitled to deduct allowable capital losses against capital gains realized in the year and up to $2,000 of other income. For the 1986 and subsequent taxation years, allowable capital losses can no longer be deducted against other income. A special transitional rule in former paragraph 3(e) provided that allowable capital losses realized in the 1985 taxation year and before May 23, 1985 could be deducted against other income to the extent of $2,000. A special transitional rule was also contained in former section 71, pursuant which a taxpayer who died in the 1985 taxation year was entitled to deduct allowable capital losses realized in 1985 or 1984 against all other income realized in the same year. (c) paragraph (c) served exactly the same purpose as (b) except with respect to the 1984 taxation year (also because of the transitional rule under former section 71). The commentary under paragraph 111(1)(a) with respect to the matters under sub-headings “Non-Resident Taxpayers”, “Redetermination of Loss by Minister”, “Application of Loss in the Exempt Year”, and “Right to Reassessment for Carryback of Loss” applies equally to net capital losses. Interpretation Bulletin IT-232R3, reproduced above under the heading “Carryover of Non-Capital Losses, Farm Losses and Limited Partnership Losses”, discusses the application of paragraph 111(1)(b). Farming losses sustained by a genuine farmer are classed as “farm losses” and are eligible for carryover under paragraph 111(1)(d). Where, however, the taxpayer’s chief source of income is neither farming nor a combination of farming and some other source of income, section 31 first of all limits the amount of any farming loss that may be deducted from other income in the same year to an amount determined by a formula (the maximum deduction being $8,750) and then paragraph 111(1)(c), in similar vein, restricts the carryover of such non-deductible farming losses to such amounts as can be deducted from farming income in the three years preceding or the twenty years following that in which the loss was sustained (see also Skretka v. Minister of National Revenue,  C.T.C. 2734 (TRB)). For losses arising in taxation years prior to 2006 the maximum carry-forward period was ten years. In other respects the rules applicable to non-capital losses and farm losses apply. Where a taxpayer disposes of land used in a farming business, and in respect of which there remains any unabsorbed “restricted farm losses”, paragraph 53(1)(i) provides that part of that amount may be added in computing the adjusted cost base of that land for the purpose of computing any taxable capital gain. To the extent that a farming loss is so applied, it is not to be regarded as a loss for the purpose of carryover under section 111 (subsec 111(6)). A somewhat similar rule in section 101, applicable where the farming business was carried on by a partnership, gives credit for unabsorbed restricted farm losses in computing a partner’s taxable income for the year in which the land is sold. To the extent that a farming loss so enters into a deduction in computing taxable income, it is not to be regarded as a loss for the purpose of carryover under section 111 (subsec 111(7)). Restricted farm losses in respect of the 1982 and preceding taxation years may only be carried back one taxation year and forward five taxation years. Restricted farm losses in respect of the 1983 taxation year may be carried back three years only if the taxpayer is in 1983 an individual (other than a trust) or an eligible Canadian-controlled private corporation. Such corporation is eligible if, after the application of such loss to the three preceding taxation years, it is entitled to deduct an amount under section 125 or would be so entitled if it had sufficient income in the year from carrying on an active business in Canada. Restricted farm losses of other taxpayers in respect of the 1983 taxation year may be carried back two years. The carryback of a 1972 restricted farm loss to 1971 was provided for in former subsections 37(6) and (7) of the ITAR. These subsections provided that a 1972 restricted farm loss could be treated as a 1972 farming loss and deducted in 1971 to the extent permitted under the pre-1972 Act. Any amount so deductible in 1971 was then deemed to have been deductible in a prior year for the purpose of paragraph 111(3)(a) in its application to the 1973 and subsequent years. Interpretation Bulletin IT-232R3 is reproduced above, under the heading “Carryover of Non-Capital Losses, Farm Losses and Limited Partnership Losses”. Subsections 111(4) to (5.5) limit a corporation’s ability to carry forward and deduct non-capital losses, net capital losses and farm losses, and unrealized losses on capital, depreciable and eligible capital property and on doubtful debts upon an acquisition of its control. However, before considering the application of those rules it is first necessary to determine what is meant by control and an acquisition of control. What constitutes the “control” of a corporation is a question which arises also in connection with subsections 125(2) and 256(1) (“associated corporations”). The case law as to its meaning for the purpose of subsection 125(2) (and subsec 39(4) of the pre-1972 Act) may usefully be referred to. The leading case under subsection 39(4) of the pre-1972 Act, was that of Buckerfield’s Ltd. v. Minister of National Revenue,  C.T.C. 504 (Exch), in which Jackett, P stated the view that the word “controlled” contemplates the right of control that rests in ownership of such a number of shares as carries with it the right to a majority of the votes in the election of the board of directors. That such de jure control may be at variance with de facto control is illustrated in Alpine Drywall & Decorating Ltd. v. Minister of National Revenue,  C.T.C. 359 (Exch), in which Cattanach, J while conceding that de facto control arising from the power to exercise a casting vote conferred control on its holder for all practical corporate purposes and for the purposes of the Alberta companies legislation, nevertheless rejected de facto control in favour of de jure control, as in the Buckerfield’s case (for the purpose of subsection 39(4)). The judgment in the Alpine Drywall case was later affirmed by the Supreme Court of Canada reported at  C.T.C. 50. See also Yarmouth Industrial Leasing Ltd. v. R.,  2 C.T.C. 67 (FCTD), and Duha Printers (Western) Ltd. v. R.,  3 C.T.C. 303 (SCC) discussed below. Subsections 111(4) to (5.5) contemplate an “acquisition” of control of a corporation by a person or group of persons. Where a loss corporation has been controlled by one person, shareholder A, and half of A’s shares are sold to an unrelated shareholder, B, the question is whether A and B are now a “group of persons” who have acquired control. Prior to January 16, 1987, section 111 and other provisions in the Act referred to an acquisition of control of a corporation by a “person or persons”. At that time, “persons” were considered generally by the Department as having collectively acquired control where there was evidence that they had a common link or interest or that they acted together to control the corporation. On the question of whether control of a corporation has been acquired by a “person or group of persons” after January 15, 1987, see the discussions concerning the meaning of control and meaning of group of persons in the commentary to section 256. Administrative views on the meaning of control of a corporation and control by a group of persons in the context of the acquisition of control rules are set out in paragraphs 2 to 8 of Interpretation Bulletin IT-302R3, reproduced below. – the company distributed its property to the new shareholders. On these facts the new shareholders were assessed on the amount received from the company, on the basis that it was derived from an adventure in the nature of trade, and further assessed one of them, who had acted as the liquidator, for corporation tax on the profit distributed without obtaining a clearance certificate, the Department having refused to allow the loss carryover. The Department took the position that there had been a change of control upon the sale of the four hundred common shares to new shareholders, even though the original shareholder retained 500 voting preference shares. The Federal Court-Trial Division, in considering this aspect of the appeal, held that since the common shares accounted for more than two-thirds the value of all the shares in the company and the common shareholders thus caused the company to be wound-up under the Quebec Winding-Up Act, control resided with the holders of the common shares. The apparent control by the preference shareholder, concluded the Court, was a sham, and the appeal on this point was accordingly dismissed. See also Duha Printers (Western) Ltd. v. R.,  3 C.T.C. 303 (SCC) (discussed below). (iv) a person who acquired the shares by way of a distribution from a related person’s estate. These exemptions effectively permit shares of the corporation to move freely between related persons, or within a corporate group, without impairing the corporation’s ability to deduct its non-capital losses and net capital losses carried forward from previous years in computing its taxable income. Whether a person acquiring shares of a corporation is related to that corporation or to any other person must be determined in accordance with section 251 (see the commentary to that provision). However, the provisions of paragraph 251(5)(b), which essentially provide deeming rules in respect of a person with a right to acquire or control the voting shares of a corporation (or voting rights in respect of the shares) or with a right to cause the reduction of other shareholders’ voting rights, do not apply in cases (i) and (ii) above (cls 256(7)(a)(i)(A) and (B)). Subparagraph 256(7)(a)(ii) provides that control of a corporation will not be considered to have been acquired solely because of the redemption or cancellation of (or a change in the rights, privileges, restrictions or conditions attaching to) shares of that corporation or of another corporation controlling it, provided each person and each member of each group of persons that controls the corporation immediately after the redemption or cancellation or change was related to the corporation (otherwise than because of a right referred to in paragraph 251(5)(b)) immediately before the redemption, cancellation or change, or immediately before the death of a person, where the shares had been held by an estate that acquired them because of the death. In Duha Printers (Western) Ltd. v. R.,  3 C.T.C. 303 (SCC), the Court had to decide whether subsection 111(5) would apply to deny a corporation the use of an inactive company’s non-capital losses for the 1985 taxation year. The taxpayer’s predecessor company (Duha No. 1) was indirectly controlled by Mr Duha. All the shares of the inactive company (O Ltd) were held by M Inc. Mr and Mrs Marr owned 62.16 per cent of the voting shares of M Inc and thus indirectly controlled O Ltd. Through a series of complicated transactions beginning with the formation of Duha No. 2 by the amalgamation of Duha No. 1 with a corporate shell, the taxpayers sought to establish that Duha No. 2 and O Ltd were controlled by the same person (M Inc) and therefore “related” to each other (within the meaning of subparagraph 251(2)(c)(i)) for the purposes of subparagraph 256(7)(a)(i). On February 8, 1984 M Inc purchased 2,000 Class C preferred voting shares of Duha No. 2 for $2,000, giving M Inc 55.71 per cent ownership (and ostensible control) of Duha No. 2. However, on the same date Duha No. 2 and all its shareholders (including M Inc) signed a shareholders’ agreement stipulating that the company was to be managed by a Board of Directors comprised of any three of four individuals: Mr Duha, Mrs Duha, Mr Quinton — a mutual friend, and Mr Marr. The agreement further provided that consent of the majority of the directors was required before shares could be transferred and that each shareholder was to be prohibited from selling, assigning, or otherwise encumbering its shares in any manner. On February 9, 1984 a numbered company owned by Duha No. 2 purchased a receivable owing to M Inc by O Ltd. The purchase price effectively represented the purchase price for O Ltd’s non-capital losses. On February 10, 1984, Duha No. 2 and O Ltd amalgamated to form the taxpayer (Duha No. 3). By resolution dated March 12, 1984, the taxpayer’s shareholders elected Mr Duha, Mrs Duha and Mr Quinton as directors of Duha No. 3. In January 1985 the taxpayer redeemed the 2,000 voting shares owned by M Inc. On February 15, 1985, the February 8, 1984 unanimous shareholders’ agreement was terminated and Mr Quinton resigned as director. In filing its return for its taxation year ending January 2, 1985, the taxpayer attempted to deduct non-capital losses which had been incurred by O Ltd. The Minister disallowed the deduction on the basis that Duha No. 2 and O Ltd were not related. In a judgment reported at  1 C.T.C. 2481, the Tax Court of Canada concluded that M Inc held de jure control of both Duha No. 2 and O Ltd at the relevant time so that the corporations were “related” to each other for the purposes of subparagraph 256(7)(a)(i) and O Ltd’s non-capital losses were fully deductible by the taxpayer. The Minister appealed to the Federal Court of Appeal on the basis that subsection 111(5) should apply. In a judgment reported at  3 C.T.C. 19, the Federal Court of Appeal ruled that the transaction was not a sham as the legal obligations created by the parties were real. Following a general discussion of the interpretation of tax legislation, Mr Justice Linden stated that the purposes as regards subsection 111(5) and subparagraph 256(7)(a)(i) are to permit a deduction of a loss if control has not changed hands but to deny it if control has changed hands. The Court of Appeal was not convinced that M Inc controlled Duha No. 2 “immediately before” the share acquisition through which Duha No. 2 amalgamated with O Ltd. Of major importance to the Court was its view that under the terms of the unanimous shareholders’ agreement, the choice of any three directors would necessarily ensure that a majority of Duha family nominees were on the Board of Duha No. 2 so that control of the family business would never be lost by the Duha family. On the basis of these restrictions and other evidence before it, the Federal Court of Appeal concluded that M Inc did not have real legal control of Duha No. 2. Accordingly, Duha No. 2 and O Ltd were held not to be related. In view of the fact that O Ltd was an inactive company and the absence of evidence that it was carried on with a reasonable expectation of profit, the Court held that subsection 111(5) applied to deny the taxpayer the use of O Ltd’s non-capital losses. On appeal to the Supreme Court of Canada, however, the Court set aside the judgment of the Federal Court of Appeal and restored the judgment of the Tax Court. The Supreme Court concluded that by virtue of its ability to elect the majority of the board of directors, M Inc enjoyed de jure control over Duha No. 2 immediately prior to its amalgamation with O Ltd and that nothing in the constating documents (including the unanimous shareholders’ agreement) altered this. As it thus considered that there was no change in control occasioned by the amalgamation, the Court held that subsection 111(5) did not prevent Duha No. 3 from deducting the losses accumulated by O Ltd.
(1) Section 111(5) of the Income Tax Act contemplates de jure, not de facto control. (2) The general test for de jure control is that enunciated in Buckerfield’s, supra: whether the majority shareholder enjoys “effective control” over the “affairs and fortunes” of the corporation, as manifested in “ownership of such a number of shares as carries with it the right to a majority of the votes in the election of the board of directors”. (5) If there exists any such limitation as contemplated by item 3(c), the majority shareholder may nonetheless possess de jure control, unless there remains no other way for that shareholder to exercise “effective control” over the affairs and fortunes of the corporation in a manner analogous or equivalent to the Buckerfield’s test. On an amalgamation of two or more corporations after March 31, 1977, any unabsorbed non-capital losses or net capital losses are preserved from an amalgamating corporation to the new corporation resulting from the amalgamation, by virtue of subsection 87(2.1). More precisely, the new corporation is deemed, for this purpose, to be the same corporation as, and a continuation of, each predecessor corporation, the unabsorbed non-capital losses, net capital losses, restricted farm losses, farm losses and, after February 26, 1986, limited partnership losses of which are considered to be non-capital losses, net capital losses, restricted farm losses, farm losses and limited partnership losses of the new corporation for a taxation year preceding its first taxation year. See paragraph 27 of IT-302R3. Section 111 will apply to the new corporation, however, in determining the extent to which such losses may be deducted in computing its taxable income for its first and subsequent taxation years. A related provision is found in subparagraph 256(7)(b)(ii), which deems a person or a group of persons that controlled the new corporation immediately after the amalgamation, but did not control a predecessor corporation immediately before, to have acquired control of that predecessor corporation and of each corporation it controlled immediately before the amalgamation, thereby invoking the provisions of subsections 111(4) to (5.4), The concept of control by a group of persons is discussed in the commentary to section 256. Prior to February 26, 1981, the deeming provisions of former paragraph 256(7)(b) extended only to a “person or group of related persons”. The expression “related persons” is defined in subsection 251(2). With respect to amalgamations occurring after November 12, 1981, where control of the predecessor corporation would not have been acquired had the person or group of persons that controlled the new corporation acquired all the shares of the predecessor corporation immediately before the amalgamation, there will be no deemed acquisition of control of the predecessor corporation. This allows the person or group of persons controlling the new corporation to rely on the exemptions provided by paragraph 256(7)(a) as discussed above. For example, assume that corporation A controls corporation B, corporation C controls corporation D, and corporations A and C are related but A does not control C. Assume further that B and D amalgamate to form corporation BD, which is controlled by corporation A. Prior to November 12, 1981, since corporation A did not control corporation D immediately prior to the amalgamation, corporation A would have been deemed by former paragraph 256(7)(b) to have acquired control of corporation D immediately prior to the amalgamation. However, after November 12, 1981, corporation A is not subject to the rule now set out in subparagraph 256(7)(b)(ii) as control of corporation D would not have been acquired on the amalgamation had corporation A directly acquired the shares of corporation D prior to the amalgamation. By virtue of subparagraph 256(7)(b)(i), control of a corporation is deemed not to have been acquired solely because of an amalgamation unless it is deemed by either subparagraph 256(7)(b)(ii) (discussed above) or subparagraph 256(7)(b)(iii) to have been acquired. Subparagraph 256(7)(b)(iii) deems control of a predecessor corporation and of each corporation it controlled immediately before the amalgamation to have been acquired immediately before the amalgamation by a person or group of persons unless one of the conditions in clauses (A), (B) and (C) is met. Paragraph 256(7)(c) sets out rules concerning reverse takeover transactions. See the examples provided in the December 8, 1997 Explanatory Notes. Paragraph 256(7)(d) in effect provides that an acquisition of control of a corporation is deemed not to have occurred solely by virtue of a share-for-share exchange where the person or group of persons that controlled the corporation immediately before the exchange continues to control it immediately after the exchange. Paragraph 256(7)(e) provides that an acquisition of control is deemed not to have occurred solely because of an exchange of shares of a particular corporation for shares of an acquiring corporation, provided that (i) the acquiring corporation is not controlled by any person or group of persons immediately after the exchange, and (ii) the fair market value of the shares of the particular corporation is not less than 95 per cent of the fair market value of all the assets of the acquiring corporation. Subsection 256(8) provides that where a taxpayer has acquired a right referred to in paragraph 251(5)(b) in respect of shares, and it can reasonably be concluded that one of the main reasons for doing so was to avoid the application of subsection 111(4), (5), (5.1), (5.2) or (5.3), the taxpayer will be deemed to be in the same position in relation to control as if the right were immediate and absolute and as if the taxpayer had exercised the right. See also subsection 256(8.1) concerning the application of subsections 256(7) and (8) to corporations incorporated without share capital. For tax rulings bearing on the application of section 111, the sectional index under tab “Tax Rulings” in Binder 1 should be consulted. Advance Tax Ruling ATR-7 concerns subsections 111(5) and 256(7). Interpretation Bulletin IT-302R3 examines the meaning of “control” and considers loss utilization within corporate groups. IT-302R2 was cancelled by IT Directive 4 but is reproduced with its special release following IT-302R3 for reference purposes. Where control of a corporation has been acquired after January 15, 1987, otherwise than by virtue of certain acquisitions of control occurring before 1988 as described below, paragraphs 111(4)(a) and (b), in conjunction with subsection 249(4), deny the carryover of net capital losses. Paragraph 111(4)(a) prevents any amount of net capital losses for taxation years ending before the acquisition of control from being deducted in computing the corporation’s taxable income in taxation years ending after the acquisition of control, while paragraph 111(4)(b) prevents any amount of net capital losses for taxation years ending after the acquisition of control from being deducted in computing the corporation’s taxable income in taxation years ending before the acquisition of control. Subsection 249(4) deems the corporation’s taxation year to end immediately before the acquisition of control. Accordingly, net capital losses for taxation years before the time at which control is acquired cannot be deducted after that time and net capital losses for taxation years after that time cannot be deducted before that time. The deemed year-end immediately before an acquisition of control significantly changed the treatment of net capital losses for the taxation year of the corporation in which control would otherwise have been acquired. Prior to the 1987 amendments, net capital losses for the taxation year in which control of the corporation was acquired were not affected. Such net capital losses were available to be carried back three years and forward indefinitely and to flow through upon the loss corporation’s liquidation into or amalgamation with an acquiring corporation. Subsection 111(4) is applicable where at any time control of a corporation has been acquired by a “person or group of persons”. Prior to the amendments generally effective after January 15, 1987, subsection 111(4) referred to an acquisition of control by a “person or persons”. The amendment makes the terminology in subsection 111(4) consistent with the terminology used in other provisions in the Act relating to control. For example, both of sections 251 and 256 use this terminology. In order to determine whether control of a corporation has been acquired by a “person or group of persons”, see the discussions concerning the meaning of control and the meaning of group of persons in the commentary to section 256 and the administrative views set out in paragraphs 2 to 8 of Interpretation Bulletin IT-302R3, reproduced above. Where control of a corporation was acquired before January 16, 1987, or before 1988 where the persons acquiring control were obliged on January 15, 1987 to acquire the control pursuant to the terms of an agreement in writing entered into on or before that date, the corporation’s unabsorbed net capital losses from previous taxation years could not be carried forward and applied in the year in which the acquisition occurred or in any subsequent year. Similarly, such corporation’s unabsorbed losses from a year subsequent to the year in which control of the corporation was acquired could not be carried back and applied in the year in which the acquisition of control occurred or in any other previous year. For purposes of the transitional provision for acquisitions of control before 1988, a person shall be considered not to be obliged to acquire control of a corporation if the person may be excused from performing the obligation as a result of changes to the Act affecting the acquisition of control of a corporation (SC 1987, c 46, s 72), These rules applied with respect to acquisitions of control occurring in the 1982 and subsequent taxation years, except that where the acquisition of control occurred before April 20, 1983 (or after April 19, 1983 but before April 20, 1984 where the arrangements therefor were substantially advanced and evidenced in writing on or before April 19, 1983), losses from a year subsequent to the year in which control was acquired could be carried back to the immediately preceding year. For taxation years prior to the 1982 taxation year, such losses could be carried back to the immediately preceding year but net capital losses from previous taxation years could not be carried forward. In addition to the general rules contained in paragraphs 111(4)(a) and (b), paragraphs 111(4)(c), (d), (e) and (f) contain provisions dealing with unrealized capital gains and losses. These provisions are also applicable where control of a corporation has been acquired after January 15, 1987, otherwise than by virtue of certain acquisitions of control occurring before 1988 as described above. However, these rules are not applicable where, at the time of the acquisition of control, the corporation has either become or ceased to be exempt from tax on its taxable income under Part I, otherwise than by reason of paragraph 149(1)(t) (ie, status as farmers’ and fishermen’s insurer). Where this occurs, subsection 149(10) is applicable to deem the corporation’s taxation year to have ended immediately before the acquisition of control, to deem the corporation to have disposed of and reacquired certain properties at fair market value and to prevent certain losses from being carried forward. See the commentary to subsection 149(10) for a more detailed discussion. Paragraphs 111(4)(c) and (d) are designed to prevent the transfer of unrealized capital losses between arm’s length taxpayers. In general, capital gains or losses are only recognized on the actual disposition of property. As a result, before the introduction of paragraphs 111(4)(c) and (d) the acquisition of control of a corporation owning capital property with an accrued capital loss did not cause the corporation to realize the capital loss. On the disposition of the capital property following the acquisition of control, the capital loss would have been realized without subjecting the corporation to the net capital loss limitations under paragraph 111(4)(a) since the loss would have been realized after the acquisition of control. Paragraph 111(4)(c) requires the adjusted cost base of any capital property, other than depreciable property, owned by the corporation immediately before the acquisition of control to be reduced at or after the time at which control is acquired. The deduction in computing the adjusted cost base is the amount by which the adjusted cost base of the property to the corporation immediately before the acquisition of control exceeds its fair market value at that time. Depreciable property is excluded since a similar rule, applicable only to depreciable property, is provided in subsection 111(5.1). The adjusted cost base reduction is implemented by paragraph 53(2)(b.2). Paragraph 111(4)(d) provides that any amount required by paragraph 111(4)(c) to be deducted from the adjusted cost base of any capital property is deemed to be a capital loss of the corporation from the disposition of the property for the taxation year that under subsection 249(4) is deemed to end immediately before the acquisition of control. This capital loss may be used, for example, to offset any of the corporation’s capital gains in the taxation year ending immediately prior to the acquisition of control, but the carryforward of any excess allowable capital losses is denied in accordance with paragraph 111(4)(a). See the commentary below regarding subsection 111(5.5) which in certain cases restricts the application of paragraphs 111(4)(c), (d) and (e). Under paragraph 111(4)(e), each capital property owned by a corporation immediately before the acquisition of control (other than property to which paragraph 111(4)(c) applies or depreciable property of a prescribed class to which subsection 111(5.1) applies) that is designated by the corporation is deemed to have been disposed of by the corporation immediately before the time that is immediately before the time at which control is acquired. The deemed disposition occurs therefore immediately before the end of the taxation year that is deemed to end under subsection 249(4) immediately before the acquisition of control. With respect to acquisitions of control occurring after July 13, 1990 (subject to a grandfathering provision discussed below), the deemed proceeds of disposition equal the lesser of (a) the fair market value of the property immediately before the acquisition of control, and (b) the greater of the adjusted cost base to the corporation of the property immediately before the disposition and such amount as is designated by the corporation. For acquisitions of control occurring prior to July 14, 1990, the deemed proceeds of disposition equal the greater of (a) the adjusted cost base of the property immediately before the acquisition of control, and (b) the lesser of the fair market value of the property immediately before the acquisition and such amount as is designated by the corporation. These rules continue to apply with respect to acquisitions of control occurring after July 13, 1990 where the persons acquiring control were obliged on that date to acquire control pursuant to the terms of agreements in writing entered into on or before that day. Each property deemed to have been disposed of is also deemed to have been reacquired by the corporation at the time of the acquisition of control at a cost equal to the deemed proceeds of disposition. With respect to acquisitions of control occurring after July 13, 1990 (subject to the grandfathering provision discussed above), an exception is provided where the property is depreciable property of the corporation with an original (pre-disposition) capital cost greater than the deemed proceeds of disposition. In such a case, the capital cost immediately before the disposition is to be preserved and the excess is deemed to have been allowed to the corporation as capital cost allowance for prior taxation years. Otherwise, where the capital property designated by the corporation is depreciable property, paragraph 13(7)(f) may apply for certain purposes to limit the capital cost of the property on the reacquisition. The designation of depreciable property may also trigger recapture in the taxation year ending prior to the acquisition of control. See the commentary to paragraph 13(7)(f) (in the commentary to subsection 13(7)) for further discussion. The paragraph 111(4)(e) designation must be made by the corporation in its income tax return under Part I for the taxation year deemed to end under subsection 249(4) immediately before the acquisition of control or in a prescribed form filed with the Minister within 90 days of the mailing of a notice of assessment of tax payable for the year or notification that no tax is payable for the year. The designation of an amount in respect of a property can be used to generate a capital gain of any amount between the adjusted cost base and the fair market value of the designated capital property. The result is an increase in the adjusted cost base of the property and an offset of the capital gains realized by any outstanding net capital losses, as well as deemed capital losses for the year under paragraph 111(4)(d). Unused net capital losses would otherwise have become subject to the limitation for net capital losses in paragraph 111(4)(a). A question that arises on the designation of depreciable property under paragraph 111(4)(e) is whether for capital cost allowance purposes the 50 per cent reduction in subsection 1100(2) of the Regulations is applicable. In the June 1987 Department of Finance Technical Notes to Bill C-64, it is stated that for the purposes of the non-arm’s length exception to the half-year rule (paragraph 1100(2.2)(e) of the Regulations), a corporation that is treated as having reacquired a depreciable property as a result of the paragraph 111(4)(e) designation will be considered not to be dealing with itself at arm’s length. Paragraph 111(4)(f) determines when capital losses resulting from paragraph 111(4)(d) and capital gains resulting from paragraph 111(4)(e) are deemed to have been realized for the purposes of a corporation’s capital dividend account as defined in subsection 89(1). Under paragraph 111(4)(f), each capital loss resulting from paragraph 111(4)(d) and each capital gain resulting from paragraph 111(4)(e) is deemed to have been realized for the purposes of a corporation’s capital dividend account immediately before the time that a capital property is deemed to have been disposed of under paragraph 111(4)(e). In effect, four separate points in time are identified commencing with the acquisition of control and moving backwards. Since both the capital gains resulting from paragraph 111(4)(e) and the capital losses resulting from paragraph 111(4)(d) are deemed to have been realized at the same time, it appears that no capital dividends can be paid in respect of the designated capital gains without regard to the offsetting capital losses. Where control of a corporation has been acquired after January 15, 1987, otherwise than by virtue of certain acquisitions of control occurring before 1988 as described below, paragraphs 111(5)(a) and (b), in conjunction with subsection 249(4), limit the carryover of non-capital losses or farm losses. Except as provided in paragraph 111(5)(a), subsection 111(5) prevents a non-capital loss or a farm loss in respect of a taxation year ending before the acquisition of control from being deducted in computing the corporation’s taxable income in a particular taxation year ending after the acquisition of control. Such portion of a non-capital loss or farm loss for a taxation year ending before control is acquired as may reasonably be regarded as a loss from carrying on a business and, where a business was carried on in that year, that portion of the non-capital loss which is in respect of an amount deductible under paragraph 110(1)(k) in computing the corporation’s taxable income for the year, may be deductible for a taxation year ending after that time. The business must meet the criteria set out in subparagraph 111(5)(a)(i), and the losses are deductible only to the extent determined under subparagraph 111(5)(a)(ii). Absent subsection 111(5), an unrelated purchaser could acquire control of a corporation with accumulated non-capital losses or farm losses and transfer a profitable business into the corporation in order to use the accumulated losses against the income from the profitable business. This may be possible, but only as permitted under paragraph 111(5)(a). See the discussion of this provision below. Except as provided in paragraph 111(5)(b), subsection 111(5) prevents a non-capital loss or farm loss for a taxation year ending after the acquisition of control from being deducted in computing the corporation’s taxable income in a particular taxation year ending before the acquisition of control. Such portion of a non-capital loss or farm loss for a taxation year ending after control is acquired as may reasonably be regarded as a loss from carrying on a business and, where a business was carried on in that year, that portion of the non-capital loss which is in respect of an amount deductible under paragraph 110(1)(k) in computing the corporation’s taxable income for the year, may be deductible for a taxation year ending before control is acquired. Again, the business must meet the criteria set out in subparagraph 111(5)(b)(i), and the losses are deductible only to the extent determined under subparagraph 111(5)(b)(ii). Subsection 249(4) deems a corporation’s taxation year to end immediately before the acquisition of control. Accordingly, except as provided in paragraphs 111(5)(a) and (b), a non-capital loss or farm loss for a taxation year ending before the time at which control is acquired cannot be deducted after that time and a non-capital loss or farm loss for a taxation year ending after that time cannot be deducted before that time. The deemed year-end immediately before an acquisition of control significantly changed the treatment of non-capital losses or farm losses for the taxation year in which control of the corporation would otherwise have been acquired. Prior to the 1987 amendments, a non-capital loss or farm loss for the taxation year in which control of the corporation was acquired was not affected. Such losses were available to be carried back three years and forward seven years and to flow through upon the loss corporation’s liquidation into or amalgamation with an acquiring corporation. Prior to the changes generally effective after January 15, 1987, a non-capital loss or farm loss was eligible to be carried back three years and forward seven years with the exception of a loss from carrying on a business which was deductible only where the criteria set forth in subparagraphs 111(5)(a)(i) and 111(5)(b)(i) were satisfied and only to the extent determined under subparagraphs 111(5)(a)(ii) and 111(5)(b)(ii). After the 1987 amendments, no non-capital loss or farm loss arising either before or after the acquisition of control is eligible to be carried forward or back except a loss from carrying on a business, which is deductible only where the conditions in subparagraphs 111(5)(a)(i) and 111(5)(b)(i) are met and only to the extent determined under subparagraphs 111(5)(a)(ii) and 111(5)(b)(ii). Effective for the 1988 and subsequent taxation years, non-capital losses eligible to be carried forward or back include that portion of a corporation’s non-capital loss arising from deductions made under paragraph 110(1)(k) in computing the corporation’s taxable income from the business being carried on in the loss year, subject to the same conditions and limitations applicable to losses from carrying on a business. Since the definition of non-capital loss in subsection 111(8) includes both a loss from property and an allowable business investment loss, such losses are no longer eligible to be carried forward or back. Prior to the 1987 amendments, it was to a taxpayer’s advantage to attempt to characterize, for example, losses incurred prior to an acquisition of control as losses from property rather than from business. It is now generally to a taxpayer’s advantage to attempt to characterize losses as business losses rather than losses from property to avoid the limitation on the use of these losses. Subsection 111(5) is applicable where at any time control of a corporation has been acquired by a “person or group of persons”. Prior to the 1987 amendments, subsection 111(5) referred to an acquisition of control by a “person or persons”. The amendment makes the terminology in subsection 111(5) consistent with the terminology used in other provisions in the Act relating to control. For example, both of sections 251 and 256 use this terminology. In order to determine whether control of a corporation has been acquired by a “person or group of persons”, see the commentary to section 256. Where control of a corporation was acquired either before January 16, 1987, or before 1988 where the persons acquiring control were obliged on January 15, 1987 to acquire the control pursuant to the terms of an agreement in writing entered into on or before that date, paragraphs 111(5)(a) and (b) provided rules restricting the carryover of non-capital losses and farm losses. For purposes of the transitional provision for acquisitions of control before 1988, a person shall be considered not to be obliged to acquire control of a corporation if the person may be excused from performing the obligation as a result of changes to the Act affecting the acquisition of control of a corporation (SC 1987, c 46, s 72). Paragraph 111(5)(a) provided that where control of a corporation was acquired, the portion of its non-capital loss or farm loss for a taxation year ending prior to the acquisition of control which was its loss from carrying on a business was deductible by the corporation in a particular taxation year subsequent to the acquisition of control only where the criteria set forth in subparagraph 111(5)(a)(i) were satisfied, and then only to the extent determined under subparagraph 111(5)(a)(ii). In effect, the business must have been carried on throughout the particular taxation year or, where the particular year was the year in which control was acquired, throughout that portion of the particular year that was after the acquisition of control, and in addition the prior year’s non-capital loss or farm loss from that business could be applied only against income for the particular year from that business or a similar business or against a net taxable capital gain from the disposition of certain of its property owned by it at or before the time of the acquisition of control. Paragraph 111(5)(b) provided that where control of a corporation was acquired, the portion of its non-capital loss or farm loss for a taxation year commencing subsequent to the acquisition of control which was its loss from carrying on a business was deductible by the corporation in a particular year prior to the acquisition of control only where the criteria set forth in subparagraph 111(5)(b)(i) were satisfied, and then only to the extent determined under subparagraph 111(5)(b)(ii). In effect, the business must have been carried on throughout the taxation year in which the loss arose and in the particular taxation year, and in addition the subsequent year’s non-capital loss or farm loss from the business could be applied only against income for the particular year from that business or a similar business. Where control of a corporation has been acquired after January 15, 1987, otherwise than by virtue of an acquisition of control occurring before 1988 as described above, subparagraph 111(5)(a)(i) provides that such portion of the corporation’s non-capital loss or farm loss for a taxation year ending before the acquisition of control as may reasonably be regarded as its loss from carrying on a business (including, in certain circumstances, amounts deductible under paragraph 110(1)(k), as described above) will only be deductible for a particular taxation year ending after the acquisition of control if that business is carried on by the corporation for profit or with a reasonable expectation of profit throughout the particular taxation year. Where control of a corporation has been acquired before January 16, 1987, or before 1988 where the transitional rules discussed above are applicable, subparagraph 111(5)(a)(i) provided that the non-capital loss or farm loss of a corporation from carrying on a business was deductible in a particular year ending after the acquisition of control only if throughout the particular year or, where the particular year was the year in which control was acquired, throughout that portion of the particular year that was after the acquisition of control, the business was carried on by the corporation for profit or with a reasonable expectation of profit. For acquisitions of control occurring in taxation years prior to the 1984 taxation year and after November 12, 1981 (other than of control occurring before 1983 where arrangements were substantially advanced and evidenced in writing on November 12, 1981), the provision was substantially the same, except that farm losses were not separately provided for as such losses were included in non-capital losses. Prior to November 13, 1981 subparagraph 111(5)(a)(i) merely required that the loss business be carried on during the year for which the claim for carryover of the loss from that business was being made and there was no specific requirement that such business be carried on for profit or with a reasonable expectation of profit. See the comments dealing with “hobby farms” for cases discussing whether a business is being carried on for profit or with a reasonable expectation of profit. 2. after that winding-up or discontinuance the control of the corporation passed to a person or persons who did not control the corporation at any time during the preceding year when the business was carried on. The application of the rules in former paragraph 111(5)(b) is illustrated in Bates Construction & Development Corp. v. Minister of National Revenue,  C.T.C. 2277 (TRB). 1. The type of business carried on in the two years concerned — normally in a mercantile business the nature of the stock-in-trade would be the important factor. If, for instance, a merchant were to change from selling drugs to operating a restaurant at the same location, he would probably not be considered to be in the same business as before. If, however, he expanded his drugstore to include a lunch counter, he is still operating the same business. 2. A mere change in location is not decisive. In Hoffman v. Minister of National Revenue, 2 Tax A.B.C. 154, following the destruction of the premises in which the appellant’s hardware business was carried on, the appellant began a similar business in another town and he was held to be carrying on the same business. 3. A change in the business name would not be conclusive. 4. Two or more separate places of business — such separate establishments are considered to be parts of the same business provided that they are all of the same general class of business, have the same fiscal periods, and are treated by the taxpayer to all intents and purposes as one and the same business. 5. The nature of the income-producing facilities or assets will in most cases be an important consideration. If such facilities or assets remain the same, the product manufactured or sold, the location, the customers, or the shareholders, may change without interrupting the application of this paragraph. 6. Acquisition of management control of the taxpayer by a company in the same line of business may provide a nexus of continuity of “similar” business between the years under dispute; see Canadian Dredge & Dock Co. v. Minister of National Revenue,  C.T.C. 2212, discussed below (where other factors, however, also contributed to a finding favourable to the taxpayer). See also paragraph 14 of Interpretation Bulletin IT-302R3, reproduced above. In Minister of National Revenue v. Eastern Textile Products Ltd.,  C.T.C. 48, the Exchequer Court held that a company which suffered losses from manufacturing and selling textile products could not in a subsequent year after it had sold its plant deduct its prior losses from the profits from a single joint venture in the purchase and sale of aircraft and parts and from the sale of textile products manufactured for the company by the purchaser of the plant. The Court held that the taxpayer had ceased to carry on its business in manufacturing and selling textiles which was the business in which the losses were sustained. In overruling the Tax Appeal Board, the Court rejected the contention of the taxpayer that the words “the business” meant essentially the business of the taxpayer as it might be from time to time. An appeal from this judgment was taken to the Supreme Court of Canada but was abandoned by the taxpayer. See also Minister of National Revenue v. Ottawa Car & Aircraft Ltd.,  C.T.C. 59. In Waldman’s Ltd. v. Minister of National Revenue, 5 Tax A.B.C. 232, it was held that a company which changed its operations from a wholesaler of ladies’ clothing to a commission agent therefor no longer carried on “the same business” which it previously did since the nature of the two undertakings was different. A change from electrical contracting to general construction was held to result in a different business being carried on in Triad Building Associates Ltd. v. Minister of National Revenue, 42 Tax A.B.C. 354. In Dofin Ltd. v. Minister of National Revenue,  C.T.C. 2656, appellant M, operating a profitable office supplies and equipment business, acquired control of appellant D, in a similar business but in a loss position. Appellant D’s premises were then closed down and appellant M purchased goods from appellant D at a 20 per cent mark-up, enabling the latter to make profits and carry forward prior years’ losses. The carryforward was not allowed by the Department on the ground that the same business was not being carried on, but the Tax Review Board, allowing the appeal, held that it was. An appeal by the Minister to the Federal Court-Trial Division was subsequently dismissed (June 18, 1981, without written reasons). In Canadian Dredge & Dock Co. v. Minister of National Revenue,  C.T.C. 2212, control of the taxpayer corporation, which was engaged in the marine construction business in the Maritimes during its loss years, was acquired by another company in the same line of business. The taxpayer then acquired the Ontario assets of its new owner in a subsequent year (the first year under dispute). Control of the taxpayer then again changed, and it began operating a marine construction business on the Great Lakes. During the year under dispute, the taxpayer also curtailed its operations in the Maritimes: it reduced its assets and personnel, moved administrative offices to a trailer site and apparently had only “some” marine construction contracts in the Maritimes during the period. It was agreed that there was a change of control of the taxpayer affecting the disputed loss application years, so that the only issue was whether there was a continuity of business. The Minister’s argument was essentially that (1) the Ontario operations carried on in the loss application years were not the same business as that carried on by the taxpayer in the Maritimes either in the same period or in the loss years; and (2) the taxpayer had ceased or so altered its business in the Maritimes that it could no longer be considered to be in the marine construction business in the loss application period. The Board, however, rejected both arguments. With respect to the first argument, it found that the Ontario operations formed part of the business carried out by the taxpayer in the loss years. In this regard, the Board viewed as significant the fact that control of the taxpayer had been acquired, in the loss years, by a company in the same line of business and that there was an “overlapping” of the operations of the two, although separate corporate entities were intact. The fact that the two companies, one in Ontario and the other in the Maritimes, had different management, goodwill, employees, machinery and customers was considered irrelevant. As already noted, the taxpayer actually acquired the Ontario assets of its new parent only in the first part of the first loss application year under dispute. Thus, the Board found the nexus of continuity on the fact that management control of the taxpayer was acquired by a company in the same line of business during the time the taxpayer was indisputably carrying on the marine construction business in the Maritimes. Furthermore, the two locales were then viewed as the “various” operations of the same business during the loss application years. With respect to the second argument, the Board found that although the Maritime operations of the taxpayer were greatly diminished, whatever the amount of reduction in assets in the loss application years, that did not warrant a finding that the Maritime operations had ceased or been altered to being merely a leasing operation as the Crown contended. Despite the paucity of marine construction contracts and employees, there was evidence to show that during the loss application period, the Maritime operation tendered, though unsuccessfully, on jobs it could have carried out utilizing, if necessary, its Ontario assets and the local workforce. The Federal Court-Trial Division looked at the question of indirect control and the jurisprudence under section 256 to find that a change of control did take place when 60 per cent of the capital stock of a company owning all of the plaintiff’s shares was acquired by a third company. Thus, the Minister’s assessment based on paragraph 111(5)(a) was upheld. See Yarmouth Industrial Leasing Ltd. v. R.,  2 C.T.C. 67. In Garage Henri Brassard Ltée v. Minister of National Revenue,  C.T.C. 321, the Exchequer Court held that a garage company which sold its stock and completely closed its operations and which acquired the business of another garage at another site after a change in shareholdings was no longer carrying on the former business. This case was considered by the Federal Court-Trial Division in Garage Montplaisir Ltée c. Ministre du Revenu national,  1 C.T.C. 51, aff’d  4 C.T.C. 22 (FCA). Another case involving the acquisition of more than 50 per cent of the shares of a dormant “loss company”, followed by the revival of somewhat similar operations, is that of Roscommon Builders Ltd. v. Minister of National Revenue, 34 Tax A.B.C. 121. The Tax Appeal Board confirmed the Minister’s view that the corporation thereafter was not carrying on the business in which it had previously engaged, thereby dismissing the taxpayer’s appeal. … there would seem to be a presumption that a company continues to carry on business as long as it is engaged in collecting debts periodically falling due to it in the course of its former business. Business is not confined to being busy; in many businesses long intervals of inactivity occur. In both cases the appellants were held to be still carrying on their former business while collecting their outstanding accounts. In Oakley Motors Ltd. v. Minister of National Revenue, 41 Tax A.B.C. 280, however, where the appellant disposed of its entire inventory, discharged all its employees and abandoned its place of business, the appellant was held not to be thereafter carrying on any business, despite some uncollected (and apparently uncollectable) trade debts. There was held to be a complete absence of “that repetition of acts” which, according to the dictum of Brett, LJ in Smith v. Anderson, 15 Ch. D. 247 (at p 277), is implied in “carrying on business”. In North Pacific Towing & Salvage Ltd. v. Minister of National Revenue,  C.T.C. 2053 (TRB), the taxpayer’s tugboat was seized by the mortgagee, resulting in a terminal loss to the taxpayer (under subsection 1100(2) of the Regulations) of $269,875. The next year, after control of the taxpayer was acquired by new interests, a derelict vessel was acquired sight unseen for $50,000 and the taxpayer sought to carry forward the prior year’s loss as pertaining to the same business. The carryforward was disallowed on the ground that there was no evidence that the new boat could be used in a viable operation. However, the taxpayer’s further appeal to the Federal Court-Trial Division was allowed (July 29, 1981, no written reasons). See also Wigmar Holdings Ltd. v. R.,  2 C.T.C. 263 in which the Federal Court of Appeal considers several of the above-mentioned cases and former subparagraph 111(5)(a)(i). In Holiday Knitwear Ltd. v. Minister of National Revenue, 31 Tax A.B.C. 30, the taxpayer had sustained substantial losses from the manufacture and sale of knitted garments, in rented premises, when all of its shares were acquired by another individual on condition that the taxpayer first make an assignment in bankruptcy, secure the cancellation of its lease for the unexpired portion of its term, and make a proposal to creditors. In conjunction therewith, supplementary letters patent were obtained changing the name of the taxpayer and authorizing the issue of new non-voting, third preference shares. The taxpayer in due course received a discharge from bankruptcy, the effect of which was to annul the bankruptcy and revest in the taxpayer its unsold machinery and equipment. Thereupon the taxpayer acquired all of the business and assets of a corporation controlled by the taxpayer’s new shareholder, and in the same general line of business as the taxpayer. Then, about two-thirds of the taxpayer’s former machinery and equipment was sold, the remainder was moved to the premises formerly occupied by the vendor corporation, and business was resumed there, using all of the equipment, staff, facilities and know-how of the vendor corporation. The business prospered and the taxpayer sought to deduct its losses from the pre-bankruptcy period. However, the Tax Appeal Board found on the question of fact that the taxpayer was not carrying on the business in which the losses were sustained, as required by subsection 111(5), thus confirming the Minister’s assessment. The Board further expressed the opinion that “the act of bankruptcy is, in itself, conclusive evidence of the termination of a business for the purpose of [section 111] of the Act.” This decision was appealed by the taxpayer to the Exchequer Court, but the appeal was later discontinued. See the commentary to section 128 under the heading “Losses”. an asset which was acquired and used for the purpose of the business does not cease to be a commercial asset of that business as soon as it is temporarily put out of use or let out to another person for use in his business or trade. The yield of income by a commercial asset is the profit of the business irrespective of the manner in which that asset is exploited by the owner of the business. He is entitled to exploit it to his best advantage and he may do so either by using it himself personally or by letting it out to someone else. However, on somewhat similar facts the Tax Appeal Board in Canada reached the opposite conclusion. A bus company sold all of its buses and other assets, except its land, buildings and franchises, to another transport company to which it leased its land, buildings and franchises for a period of ten years, renewable for a further ten. Stating that it was “obvious that the appellant ceased to operate as a carrier of passengers and became nothing more than a receiver of rents” and “holding a franchise and the operation of it are two separate things”, the Board dismissed the appeal, thus confirming the Minister’s disallowance of losses incurred from the operation of the buses as a deduction from the rental income. See Island Motor Transport Ltd. v. Minister of National Revenue, 33 Tax A.B.C. 365. An interesting example of trafficking in loss companies may be found in Minister of National Revenue v. Sissons,  C.T.C. 184, in which the Supreme Court, supporting the Minister, reversed a judgment of the Exchequer Court reported at  C.T.C. 363. Where control of a corporation has been acquired, the corporation’s non-capital loss or farm loss from carrying on a business (subject to subparagraph 111(5)(a)(i) requiring the continuation of such business) is deductible only against certain sources of income. A corporation’s non-capital loss or farm loss attributable to a loss from a particular business (including, in certain circumstances, amounts deductible under paragraph 110(1)(k), as described above) for a taxation year ending prior to the acquisition of control is deductible against income from that business earned by the corporation after the acquisition of control. See the commentary to subparagraph 111(5)(a)(i) for a discussion of whether a business constitutes the same business or a different business. In addition, a corporation’s non-capital loss or farm loss attributable to a particular business (including, in certain circumstances, amounts deductible under paragraph 110(1)(k), as described above) for a taxation year ending prior to the acquisition of control is deductible against income from any other business earned by the corporation after the acquisition of control if substantially all of the income therefrom was derived from the sale, leasing, rental or development of properties, or the rendering of services that are similar to the properties sold, leased, rented or developed, or the services rendered, as the case may be, in the course of carrying on the business before the acquisition of control of the corporation. The term “substantially all” has been defined by the Department in different contexts to mean 90 per cent or more (see, eg, Interpretation Bulletin IT-171R2 (archived), para 12). Paragraph 111(5)(a) requires that the particular business be continued. Non-capital losses attributable to a particular business of a corporation and, where a business was carried on in that year, that portion of the non-capital loss attributable to amounts deductible under paragraph 110(1)(k) in computing the corporation’s taxable income for the year, where the particular business is continued as required by subparagraph 111(5)(a)(i) may be deducted under subparagraph 111(5)(a)(ii) against net taxable capital gains from dispositions of certain of its property depending upon the date of the acquisition of control. Where control of a corporation is acquired after January 15, 1987, otherwise than by virtue of an acquisition of control occurring before 1988 as described above, the ability of the corporation to deduct a non-capital loss or farm loss from a business for a taxation year ending prior to the acquisition of control against certain taxable capital gains arising in a particular taxation year after the acquisition of control has been removed. 2. not acquired by the corporation from the person or persons who acquired control or a person who did not deal at arm’s length with such person or persons. 2. the property was not acquired by the corporation within the two-year period ending at the time of the acquisition of control from the person or persons who acquired control or a person who did not deal at arm’s length with such person or persons. By extending the deductibility of non-capital losses to taxable capital gains from dispositions of property owned by the corporation at or before the time of the acquisition of control, pre-acquisition of control losses could be deducted against taxable capital gains from property disposed of during the year in which control was acquired, but before the acquisition of control. Also, where a corporation disposed of property prior to the acquisition of control and claimed a capital gains reserve under subparagraph 40(1)(a)(iii), it could deduct pre-acquisition of control losses from the taxable capital gain arising under subparagraph 40(1)(a)(ii) in respect of the reserve in the subsequent year. In respect of acquisitions of control occurring within this period, the relaxing of the requirement that the taxable capital gain be from a disposition of property that was not acquired by the corporation from the person or persons who acquired control permitted pre-acquisition of control losses to be deducted from taxable capital gains from dispositions of property transferred to the corporation more than two years prior to the acquisition of control by the person or persons who acquired control, and thus probably not in contemplation of the acquisition of control. In addition, where control of a corporation was acquired before May 10, 1985, the taxpayer’s taxable capital gains for these purposes had to be reduced only by such of the taxpayer’s allowable capital losses as did not constitute allowable business investment losses. For acquisitions of control after May 9, 1985, the taxpayer’s taxable capital gains for these purposes must be reduced by all of its allowable capital losses, including those which also constitute allowable business investment losses. In Mathew v. R.,  5 C.T.C. 244 (SCC) the taxpayers created a partnership and disposed of mortgage assets in a manner which caused the partnership to sustain significant losses. The taxpayers deducted partnership losses from their income as well as created non-capital losses to carry back and forward. In finding that GAAR applied to the series of transactions, the Court ruled that the policy (as established under subsection 111(5)) prohibited the transfer of losses outside the corporate group. As mentioned, paragraphs 111(1)(a) and (d) provide that a corporation’s non-capital losses and farm losses may be carried back three taxation years. Where control of corporation is acquired after January 15, 1987, otherwise than by virtue of an acquisition of control occurring before 1988 as described above, paragraph 111(5)(b) provides that such portion of the corporation’s non-capital loss or farm loss for a taxation year ending after the acquisition of control as may reasonably be regarded as its loss from carrying on a business is deductible by the corporation for a particular taxation year ending before the acquisition of control where the business meets the criterion set out in subparagraph 111(5)(b)(i), but only to the extent determined under subparagraph 111(5)(b)(ii). As noted above, applicable for the 1988 and subsequent taxation years, where a business was carried on in a year, the amount of a corporation’s non-capital losses for that year which are eligible for being carried back or forward under paragraph 111(1)(a) and subsection 111(5) includes that portion of its non-capital losses which may reasonably be considered as being in respect of amounts deducted under paragraph 110(1)(k) by the corporation in determining its taxable income for the year. Where control of a corporation was acquired before January 16, 1987, or before 1988 where the transitional rules discussed above are applicable, and in the 1980 or a subsequent taxation year, paragraph 111(5)(b) provided that such portion of the corporation’s non-capital loss or farm loss for a taxation year commencing after the acquisition of control as may reasonably be regarded as its loss from carrying on a business was deductible by the corporation for a particular taxation year commencing before the acquisition of control where the business met the criterion set out in subparagraph 111(5)(b)(i), but only to the extent determined under subparagraph 111(5)(b)(ii). Subparagraph 111(5)(b)(i) provides — and has provided since the 1980 taxation year — that the portion of a corporation’s non-capital loss or farm loss from carrying on a business is deductible in a particular year prior to the acquisition of control only where throughout the taxation year in which the loss arose and in the particular taxation year the business was carried on by the corporation for profit or with a reasonable expectation of profit. See the commentary dealing with “hobby farms” for cases discussing whether a business is being carried on with a reasonable expectation of profit, and the commentary to subparagraph 111(5)(a)(i) for a discussion of factors to be considered in determining whether or not the same business is being carried on. In addition, subparagraph 111(5)(b)(ii) provides — and has provided since the 1980 taxation year — that the portion of a corporation’s non-capital loss or farm loss attributable to a business is deductible only against income from the business that generated the losses and income from any other business if substantially all of the income of the other business was derived from the sale, leasing, rental or development of properties, or the rendering of services that are similar to the properties sold, leased, rented or developed, or the services rendered, as the case may be, in the course of carrying on the business subsequent to the change of control. However, where control has been acquired before April 20, 1983 (or after April 19, 1983 and before April 20, 1984 where the arrangements therefor were substantially advanced and evidenced in writing on or before April 19, 1983), losses incurred in a taxation year subsequent to the change of control may be carried back to the immediately preceding year. In addition to Interpretation Bulletins IT-302R3 and IT-232R3, reproduced above, see Interpretation Bulletin IT-206R, “Separate Businesses”, reproduced in the commentary to paragraph 20(1)(a). Subsections 111(5.1), (5.2) and (5.3) were enacted in 1983 to prevent a corporation from retaining its unrealized losses on depreciable property and eligible capital property after an acquisition of control. As originally enacted, those subsections applied where control of a corporation was acquired in the period after November 12, 1981 (otherwise than by virtue of an acquisition of control occurring before 1983 where the arrangements therefor were substantially advanced and evidenced in writing on November 12, 1981) and before January 16, 1987, or before 1988 where the persons acquiring control were obliged on January 15, 1987 to acquire control pursuant to agreements in writing entered into on or before that date. For the purposes of this latter transitional rule, a person shall be considered not to be obliged to acquire control of a corporation if the person may be excused from performing the obligation as a result of changes to the Act affecting acquisitions of control of corporations (SC 1987, c 46, s 72). 2. to be a non-capital loss of the corporation for the immediately preceding taxation year from carrying on the business in which the property was used at that time. While the excess was deemed to be capital cost allowance allowed to the corporation in a previous year, no part of the excess was deductible in computing the taxable income for the corporation for any preceding taxation year. Therefore, on an acquisition of control, any unrealized loss on depreciable property was deemed to be a non-capital loss for the immediately preceding taxation year and was only deductible where the provisions of subsection 111(5) were satisfied. the excess must be deducted in computing the income of the corporation for the taxation year deemed to have ended immediately before the acquisition of control. The excess will be deemed to have been claimed as capital cost allowance in respect of property of that class under paragraph 20(1)(a). Subsection 111(5.1) requires this calculation to be made for each prescribed class. Any excess determined under subsection 111(5.1) either reduces the corporation’s income or increases its non-capital loss or farm loss in the year deemed to end immediately before the acquisition of control. Any non-capital loss or farm loss arising in this manner is deductible in subsequent taxation years only in accordance with the loss carryforward rules provided in subsections 111(1) and (5). See the commentary below regarding subsection 111(5.5) which in certain cases restricts the application of subsection 111(5.1). The calculation of the excess amount in subsection 111(5.1) is made without reference to subsection 13(24). Subsection 13(24) may prohibit a corporation from adding the capital cost of certain depreciable property of a particular class to the undepreciated capital cost of such class where the property is acquired by the corporation within the 12-month period ending immediately before an acquisition of control. Where subsection 13(24) is applicable, the capital cost will be included in the undepreciated capital cost of the particular class of depreciable property in the taxation year commencing at the time of the acquisition of control. The effect of disregarding subsection 13(24) will be to include the capital cost of such depreciable property acquired within the 12-month period in the undepreciated capital cost of a particular class of depreciable property in calculating the excess amount under subsection 111(5.1). 2. to be a non-capital loss of the corporation for the immediately preceding taxation year as a loss from carrying on the business. Again, no part of the excess was deductible in computing the taxable income of the corporation in a preceding taxation year and the non-capital loss was only deductible where the criteria set forth in subsection 111(5) were met. the excess was required to be deducted by the corporation under paragraph 20(1)(b) in computing its income from the business for the taxation year deemed by subsection 249(4) to have ended immediately before the acquisition of control. This calculation would be made for each business of the corporation. Where control of a corporation is acquired after the commencement of the corporation’s first taxation year commencing after June 1988, the calculation under subsection 111(5.2) includes three-quarters, rather than one-half, of the fair market value of the eligible capital property in respect of the business. As a result, subsection 111(5.2) prevents a corporation from deferring the realization of a loss from the decline in value of eligible capital property until after control of the corporation has been acquired. Any excess determined under subsection 111(5.2) either reduces the corporation’s income or increases its non-capital loss or farm loss in the year deemed to end immediately before the acquisition of control. Any non-capital loss or farm loss arising in this manner is deductible in subsequent taxation years only in accordance with the loss carryforward rules provided in subsections 111(1) and (5). See the commentary below regarding subsection 111(5.5), which in certain cases restricts the application of subsection 111(5.2). Subsections 111(5.1) and (5.2) do not apply to a corporation that either becomes or ceases to be exempt from tax under Part I on its taxable income at the time of the acquisition of control. Prior to the 1987 amendments, subsections 111(5.1) and (5.2) did not apply to an acquisition of control of a corporation that was exempt from Part I tax on its taxable income immediately before the acquisition of control. Where a corporation either becomes or ceases to be exempt from Part I tax on its taxable income at the time of an acquisition of control, see the commentary to subsection 149(10). Subsections 111(5.1) and (5.2) are applicable where at any time control of a corporation has been acquired by a “person or group of persons”. Prior to the 1987 amendments, subsections 111(5.1) and (5.2) referred to an acquisition of control by a “person or persons”. The change makes the terminology in subsections 111(5.1) and (5.2) consistent with the terminology used in other provisions in the Act relating to control. For example, both of sections 251 and 256 use this terminology. In order to determine whether control of a corporation has been acquired by a “person or group of persons”, see the commentary to section 256. As originally enacted, subsection 111(5.3) provided a special rule for the purposes of subsections 111(5.1) and (5.2). Subsection 111(5.3) deemed a corporation to have had “a taxation year immediately preceding the particular taxation year” where control of the corporation was acquired in its first taxation year. Subsection 111(5.3) was repealed as a consequence of the 1987 amendments to subsections 111(5.1) and (5.2) and the introduction of subsection 249(4). Subsection 111(5.3) provides that where control of a corporation has been acquired (otherwise than in circumstances under which the corporation became or ceased to be exempt from Part I tax on its taxable income) by a person or group of persons, the corporation is prohibited from deducting any amount under paragraph 20(1)(l) as a reserve for doubtful debts in computing its income for the taxation year that subsection 249(4) deems to end immediately before the acquisition of control. In addition, any amount that would have been deductible under paragraph 20(1)(l), but for subsection 26(2), 111(5.3) or former subsection 33(1), in respect of doubtful debts in the taxation year ending immediately before the acquisition of control is deemed to be a separate debt and required to be deducted as a bad debt under paragraph 20(1)(p) in computing the corporation’s income for that taxation year. The amount by which the whole debt exceeds the doubtful portion is deemed to be a separate debt which was incurred at the same time and under the same circumstances as the whole debt. The purpose of subsection 111(5.3) is to prevent any amount from being deducted as a doubtful or bad debt in a taxation year ending after an acquisition of control if the debt or a portion of the debt was doubtful at the time control of the corporation was acquired. As a result of the required deduction under subsection 111(5.3), the corporation will either reduce its income or increase its non-capital loss or farm loss in the taxation year that is deemed to end immediately before the acquisition of control. Any non-capital loss or farm loss arising in this manner is deductible in subsequent taxation years only in accordance with the loss carryforward rules contained in subsections 111(1) and (5). See the commentary below regarding subsection 111(5.5), which in certain cases restricts the application of subsection 111(5.3). Any amount received by the corporation in a subsequent taxation year in respect of a separate debt that, by virtue of subsection 111(5.3), was required to be deducted under paragraph 20(1)(p) in the taxation year deemed to end immediately before the acquisition of control is required to be included in the income of the corporation in that subsequent taxation year under paragraph 12(1)(i). Subsection 111(5.3) does not apply to a corporation which became or ceased to be exempt from tax under Part I on its taxable income at the time of the acquisition of control. Where this is the case, see the commentary to subsection 149(10). Subsection 111(5.3) is applicable where at any time control of a corporation has been acquired by a “person or a group of persons”. The use of this terminology makes subsection 111(5.3) consistent with the terminology used in other provisions in the Act relating to control. For example, both of sections 251 and 256 use this terminology. In order to determine whether control of a corporation has been acquired by a “person or group of persons”, see the commentary to section 256. Subsection 111(5.3) is applicable with respect to acquisitions of control occurring after January 15, 1987 other than acquisitions of control occurring before 1988 where the persons acquiring control were obliged on January 15, 1987 to acquire the control pursuant to the terms of agreements in writing entered into on or before that date. For these purposes, a person shall be considered not to be obliged to acquire control of a corporation if the person may be excused from performing the obligation as a result of changes to the Act affecting acquisitions of control of corporations (SC 1987, c 46, s 72). Subsection 88(1.1), which allows certain non-capital losses of a subsidiary to flow through to its parent on the winding-up of the subsidiary, contains restrictions with respect to a winding-up generally commencing after November 12, 1981, which are similar to those in subsection 111(5) discussed above. Subsection 111(5.4) provides a rule in effect with respect to a winding-up which commenced prior to November 13, 1981, where control of a corporation is acquired after November 12, 1981. The rule refers to the portion of the corporation’s non-capital loss for a taxation year ending before the time control is acquired, that was not deductible in a prior year and that can reasonably be considered to be a non-capital loss of a subsidiary from carrying on a particular business that was deemed by former subsection 88(1.1) (as it read on November 12, 1981) to be a non-capital loss of the corporation. Such portion of the non-capital loss is deemed to be a non-capital loss of the corporation from carrying on the particular business of the subsidiary. This permits the restrictions in subsections 88(1.1) and 111(5) to apply on an acquisition of control after November 12, 1981. Subsection 111(5.5) is an anti-avoidance provision which provides that where control of a corporation has been acquired by a person or group of persons and it may reasonably be considered that the main reason for the acquisition of control was to cause paragraph 111(4)(d) or subsection 111(5.1), (5.2) or (5.3) to apply, then the particular provision relied upon and paragraph 111(4)(e) will not be applicable with respect to the acquisition. In addition, where the provision relied upon is paragraph 111(4)(d), the reduction in the adjusted cost base of capital property under paragraph 111(4)(c) will not be applicable with respect to the acquisition. Paragraph 111(4)(d) and subsections 111(5.1), (5.2) and (5.3) are intended to prevent a corporation from deducting certain losses that accrued before control of the corporation is acquired in order to reduce its income in taxation years ending after the acquisition of control. These provisions effectively require the corporation to realize such losses in the taxation year that under subsection 249(4) is deemed to end immediately before the acquisition of control. Under subsection 111(5.5), where the main reason for an acquisition of control is to take advantage of the above-mentioned provisions, then these rules do not apply. An example of the operation of subsection 111(5.5) appears to be where a controlling shareholder of a corporation disposes of the shares to another person and then reacquires the shares in an attempt to have the corporation’s accrued losses realized for tax purposes. Subsection 111(5.5) is applicable with respect to acquisitions of control occurring after January 15, 1987 other than acquisitions of control occurring before 1988 where the persons acquiring control were obliged on January 15, 1987 to acquire control pursuant to the terms of agreements in writing entered into on or before that date. For these purposes, a person shall be considered not to be obliged to acquire control of a corporation if the person may be excused from performing the obligation as a result of changes to the Act affecting acquisitions of control of corporations (SC 1987, c 46, s 72). Subsection 111(7.1) is part of the mechanism enacted to reduce, for the 1977 and subsequent years, various claims that would have otherwise been available to an insurer who had made a branch accounting election for the 1975 taxation year and who included less gross investment revenue in income under Part I than it would have, had it not made the branch accounting election for that year. In general terms, where the 1975 branch accounting election deficiency exceeded the total of the 1975-76 excess investment reserve and the 1975-76 excess capital cost allowance, any non-capital losses incurred in the 1972 to 1976 taxation years would be reduced to the extent of the excess. By virtue of subsection 111(7.11), the definitions in subsection 138(12) also apply for purposes of subsection 111(7.1). Subsection 111(7.2) is a part of the transitional rules enacted for purposes of changing to a new method of taxing life insurers for the 1978 and subsequent taxation years. Paragraph 111(7.2)(a) deems, for purposes of the 1978 and subsequent taxation years, any non-capital loss for any taxation year prior to 1977 to be nil, but any such non-capital loss may be preserved through the 1977 carryforward deduction (see para 111(7.2)(b)). 3. the amount of policy reserves deducted in the 1977 taxation year in respect of segregated fund policies of the insurer. To have such an excess would not be usual. However, it would be most likely to occur in an insurance company that had a large non-life insurance business which suffered large losses and that also carried on a small life insurance business. See also the commentary to section 138. Subsections 111(10) and (11) ensure that when a taxpayer who is a “carrier” or an “air carrier” as defined in subsection 68.4(1) of the Excise Tax Act receives a fuel tax rebate in the taxation year under subsection 68.4(2) or (3.1) of that Act, the taxpayer’s non-capital losses over the previous 7 taxation years will be reduced by 10 times the rebate. If the taxpayer does not claim a sufficient amount under paragraph 111(10)(b) or repay the rebate under subsection 68.4(7), paragraph 12(1)(x.1) requires the amount that is not offset by the reduction in non-capital losses to be included in income. The rule in subsection 111(10), together with paragraph 12(1)(x.1), was introduced as an integral part of the temporary “loss-offset” program in which carriers in the transportation industry were given the opportunity of receiving a partial rebate of excise tax on diesel and aviation fuel (excluding aviation gasoline) purchased or imported in the calendar years 1991 and 1992 at a cost of a reduction in unused prior years’ non-capital losses equal to 10 times the rebate received. Subsection 111(11) deals with fuel tax rebates received by partnerships. On March 5, 1997 final details were announced concerning the Aviation Fuel Excise Tax Rebate Program originally announced in November 1996. Amendments were made by SC 1997, c 26 (Bill C-93) to implement this program permitting air carriers to exchange income tax loss carryforwards for rebates of excise tax paid on aviation fuel purchased or imported in the years 1996 to 1999. Under subsection 68.4(3.1) of the Excise Tax Act, an air carrier that purchased in Canada or imported aviation fuel in any of those years to be used for specified purposes and meets certain filing requirements would receive a fuel tax rebate equal to the lesser of 4 cents for each litre of fuel and the carrier’s “aviation rebate limit” for the year. Subsections 111(10) and (11) were amended, applicable to the 1997 and subsequent taxation years, to add references to subsection 68.4(3.1) of the Excise Tax Act and to express the amount described in paragraph 111(10)(a) in terms of a formula. See paragraph 12(1)(x.1) and the related commentary for further details of both phases of the program. (b) the amount claimed by the taxpayer, not exceeding the non-capital loss for the loss year which was available for offsetting income from businesses carried on by the taxpayer in the particular year. The result is that the non-capital losses of the taxpayer for previous taxation years which are otherwise available for carryforward to the taxation year or a future taxation year must be reduced by 10 times the fuel tax rebate received (except to the extent it is repaid). If the taxpayer does not claim a sufficient amount under paragraph 111(10)(b) because it chooses not to do so or because the non-capital losses are not sufficient to offset 10 times the rebate, paragraph 12(1)(x.1) requires that 10 times the rebate less the amount deducted under subsection 111(10) be included in computing the taxpayer’s income. Where a partnership receives a fuel tax rebate under subsection 68.4(2), (3) or (3.1) of the Excise Tax Act, a taxpayer who was a member of the partnership is deemed to have received that portion of the rebate that the member’s share of the partnership income or loss for the fiscal period in which the rebate was received is of the whole income or loss for that period determined without reference to any rebate under section 68.4 of the Excise Tax Act. A similar rule applies with respect to repayments of rebates. In the case of an amalgamation under subsection 87(1) of the Act, the new corporation is deemed to be the same corporation as, and a continuation of, each predecessor corporation for the purposes of paragraph 12(1)(x.1), the description of D.1 in the definition “non-capital loss” in subsection 111(8), and subsections 111(10) and (11) (para 87(2)(uu)). This rule also applies mutatis mutandis with respect to windings-up under subsection 88(1) (para 88(1)(e.2)). Assume a carrier has a loss from its business for the taxation year ended December 31, 1992 of $20,000 and has received a fuel tax refund under subsection 68.4(2) of the Excise Tax Act in the amount of $2,500. The possible deduction for 1989 is the unused non-capital loss of $20,000 which the taxpayer may claim under paragraph 111(10)(b). The remaining $5,000 may be taken as a deduction in non-capital loss for 1991. If no deduction in non-capital losses in respect of the rebates were claimed and $25,000 were added to income under paragraph 12(1)(x.1), the income for 1992 would be $5,000 against which $5,000 of the remaining non-capital loss of $20,000 for 1989 could be applied, leaving the balance of the unused losses for 1989 and 1991 to be subject to the 7-year loss carryforward limitation. The taxpayer could at any time on or before 90 days after the sending of a notice of assessment by the Minister of Part I tax for 1992, a notice of determination under subsection 152(1.1), or a notification that no tax was payable under Part I for the year, repay all or a portion of the fuel tax rebate under subsection 68.4(7) of the Excise Tax Act.